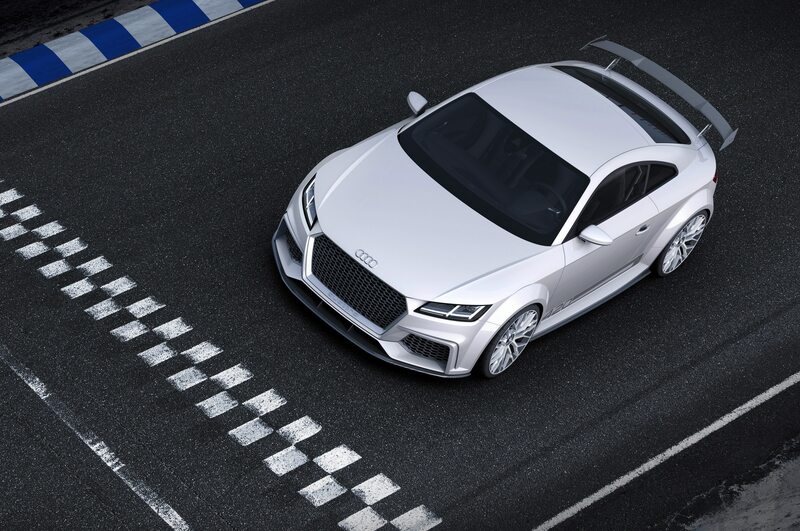 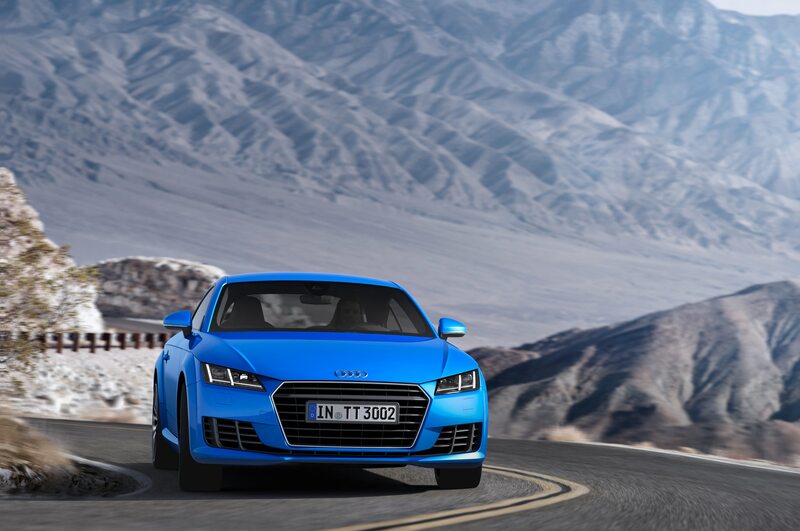 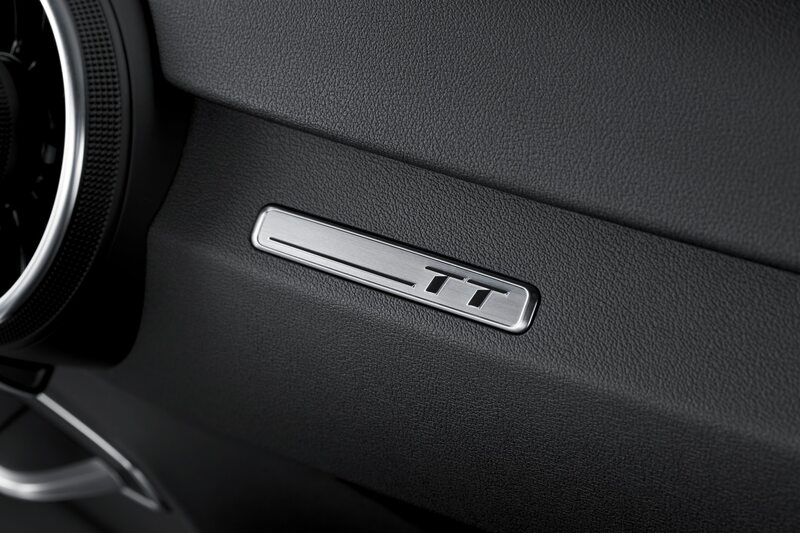 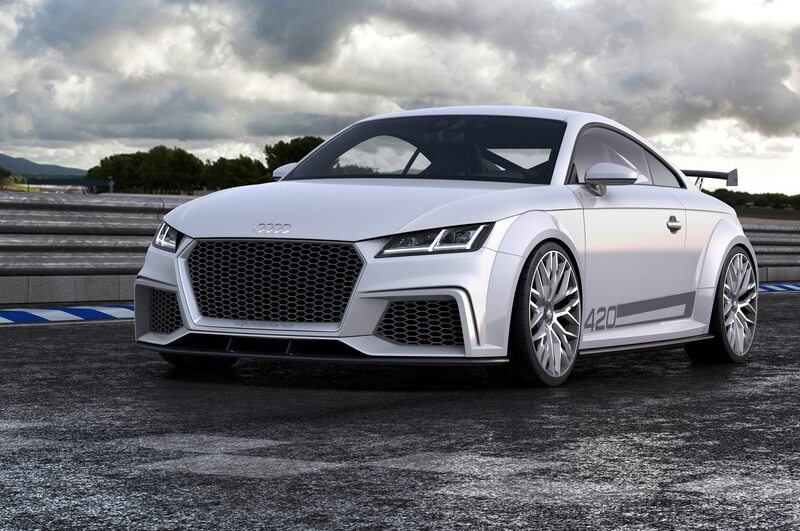 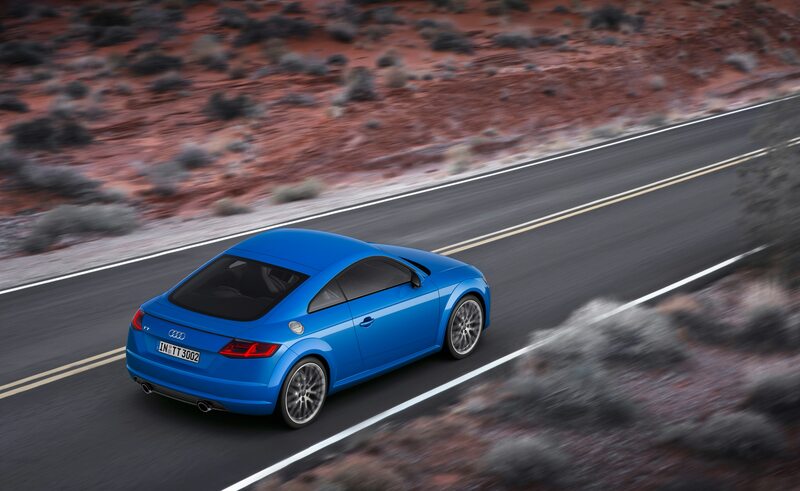 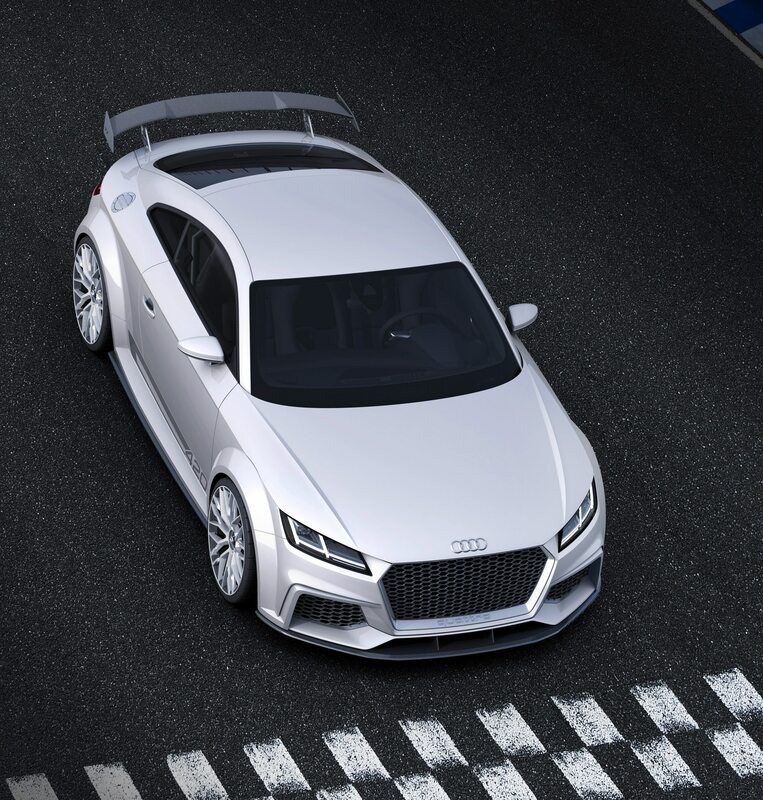 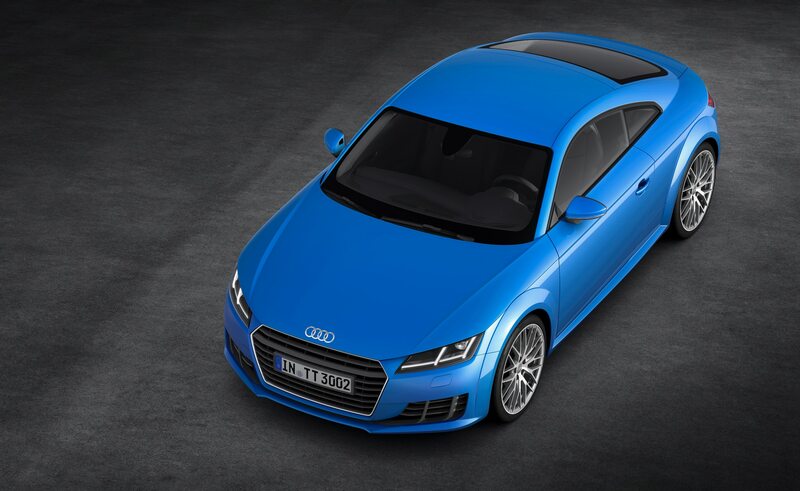 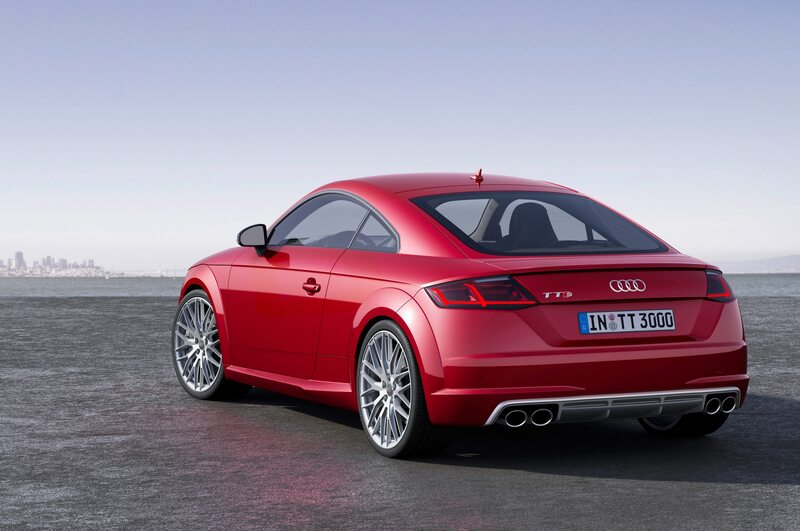 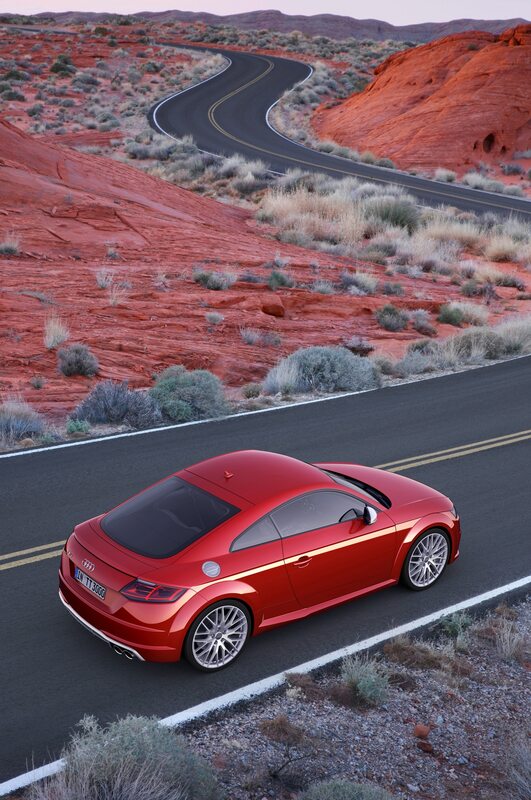 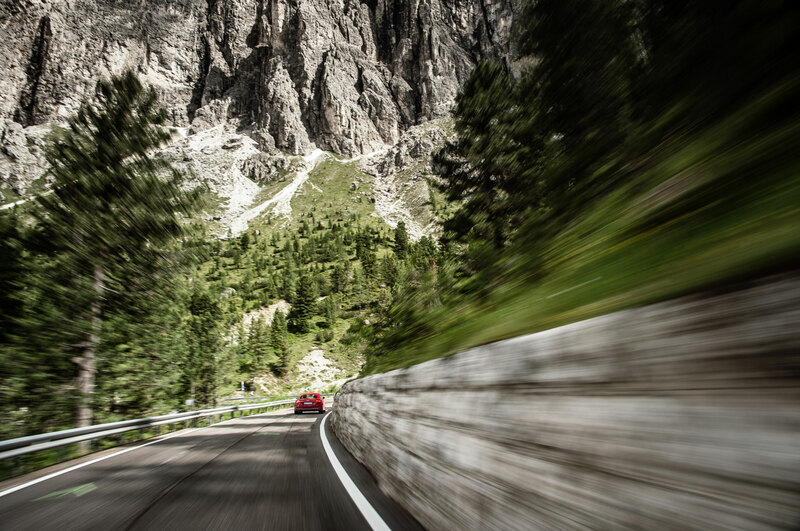 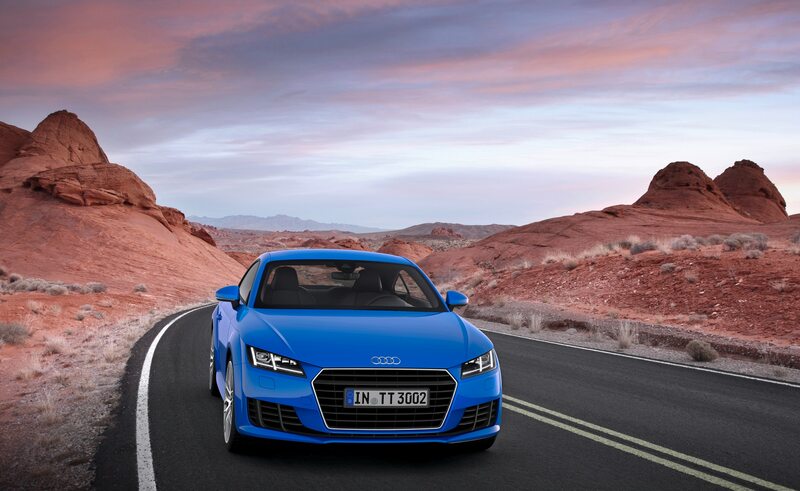 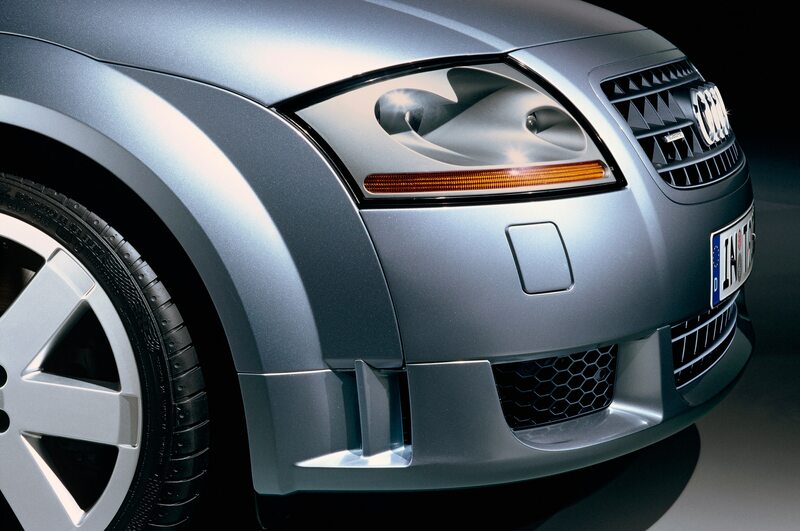 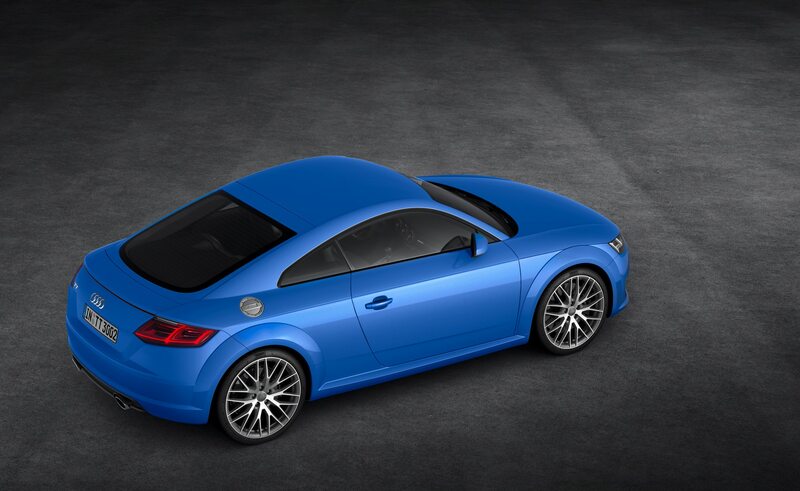 High-performance TTS is available only as a coupe. 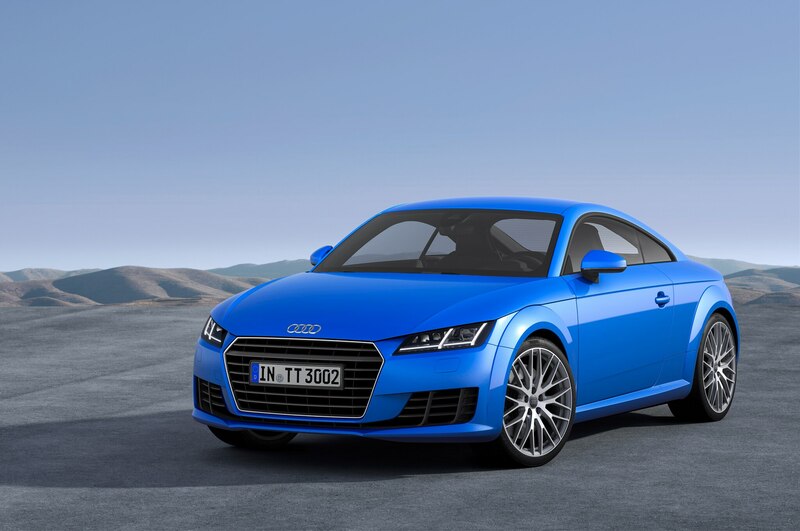 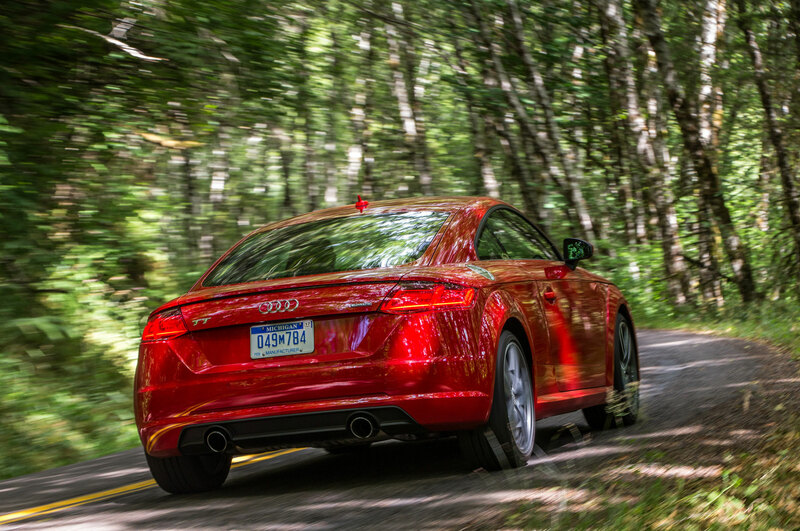 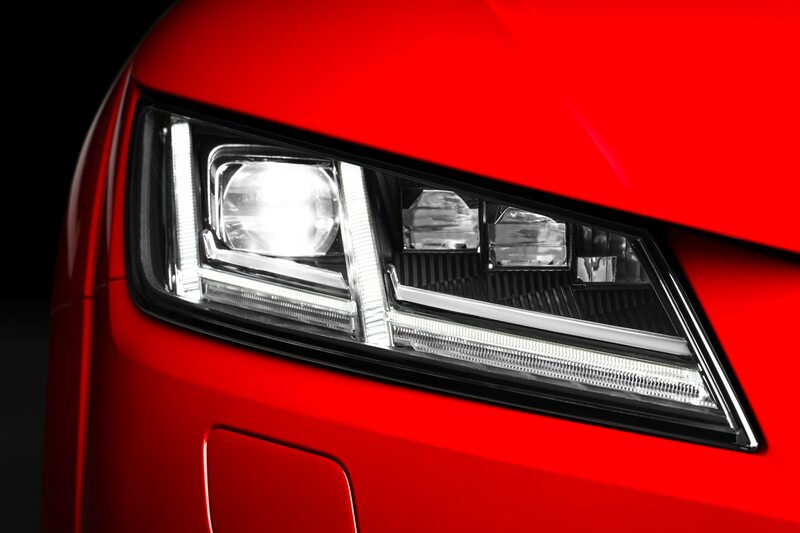 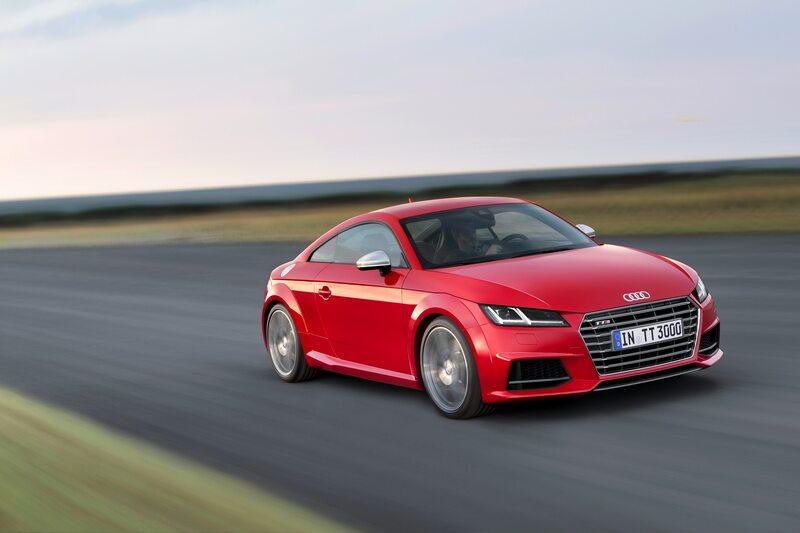 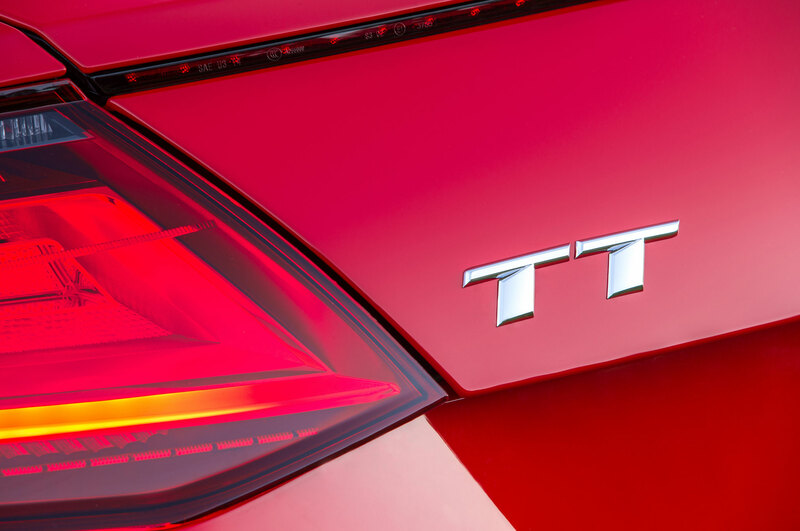 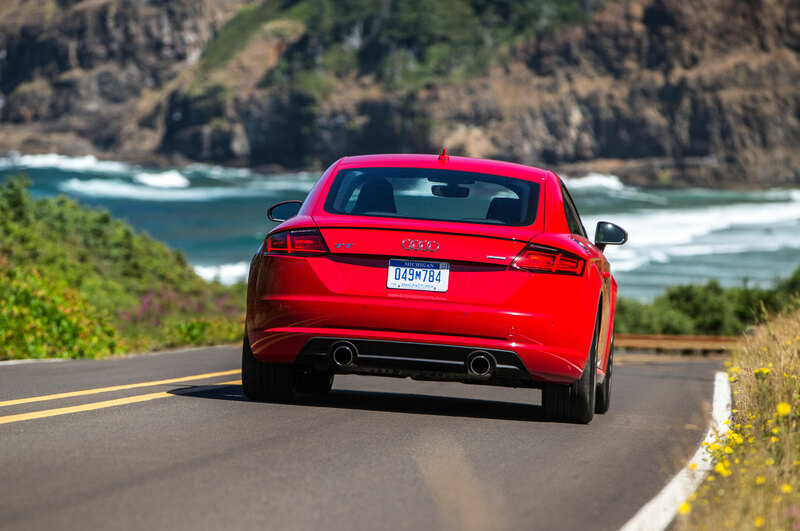 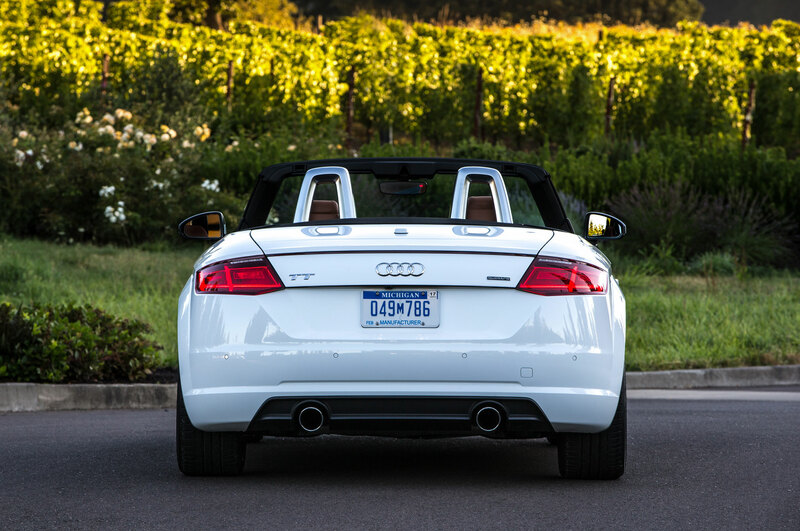 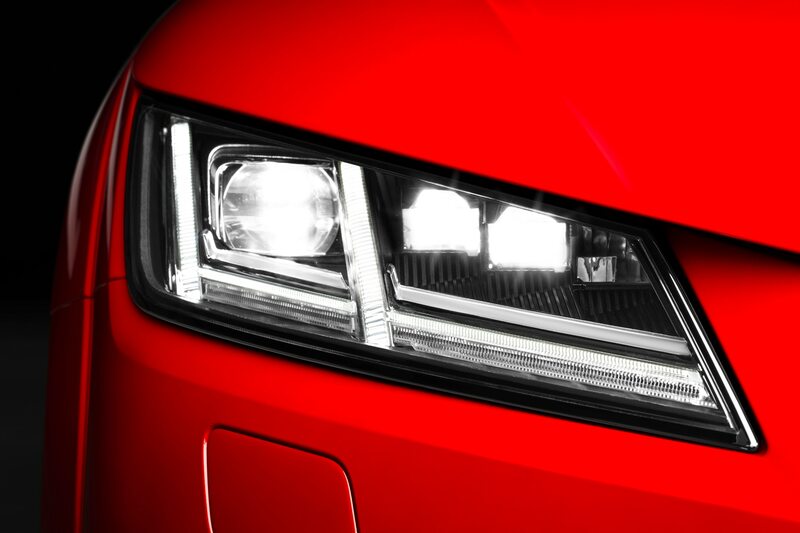 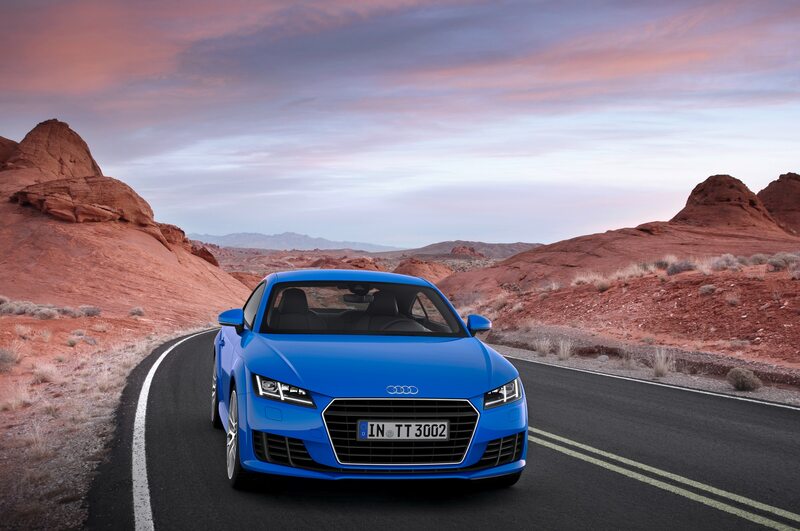 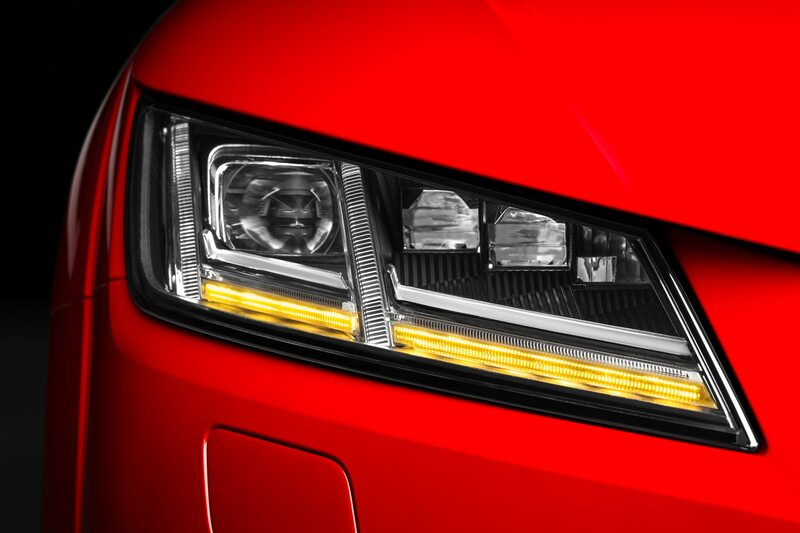 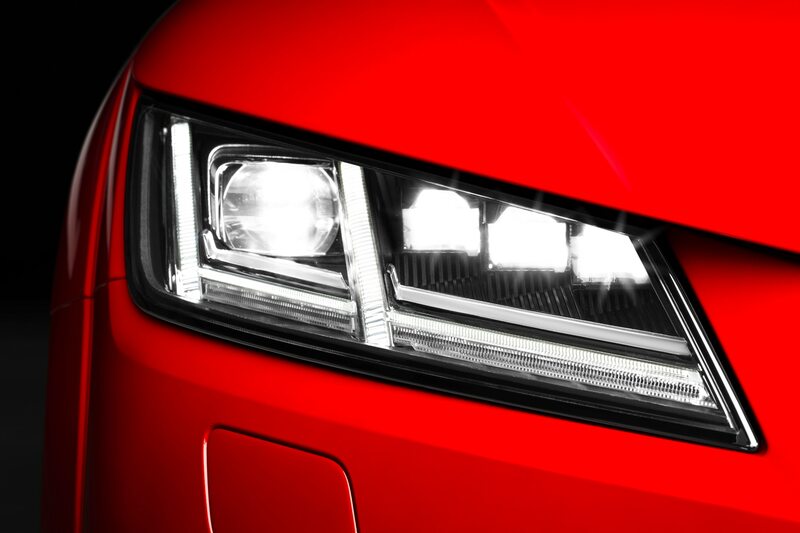 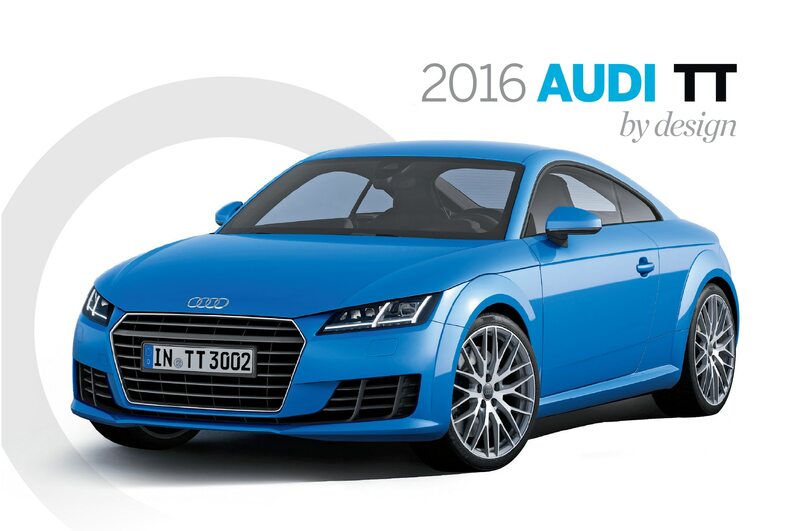 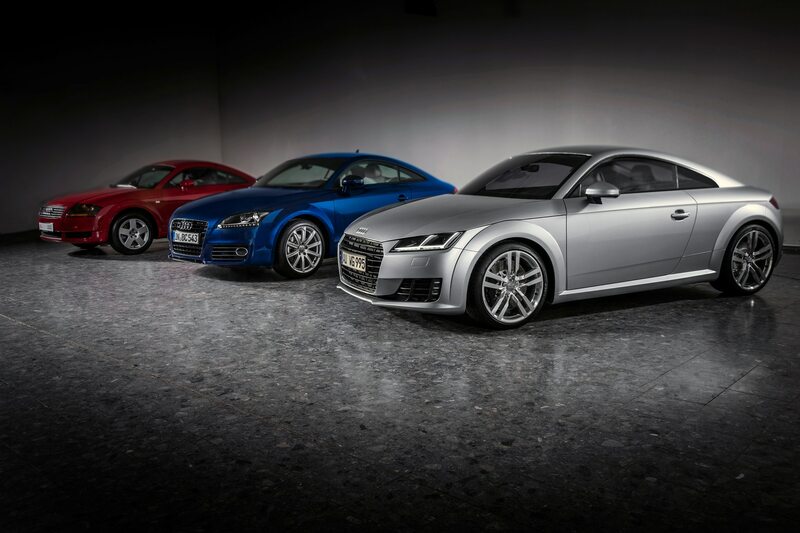 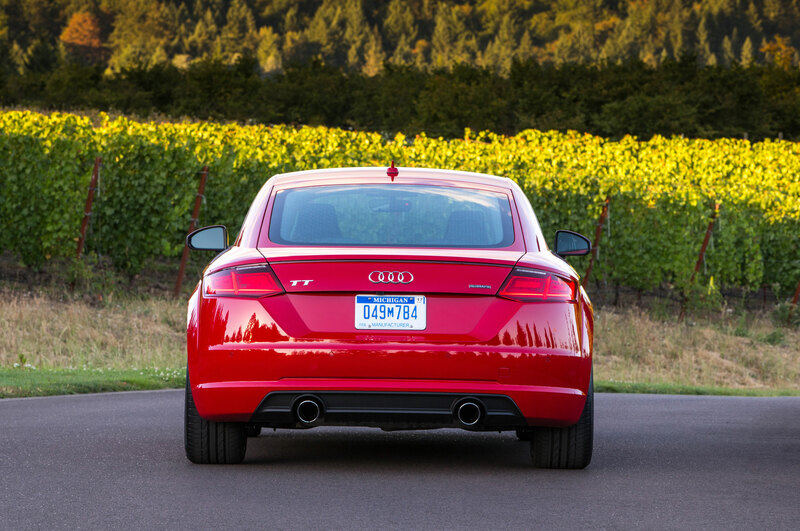 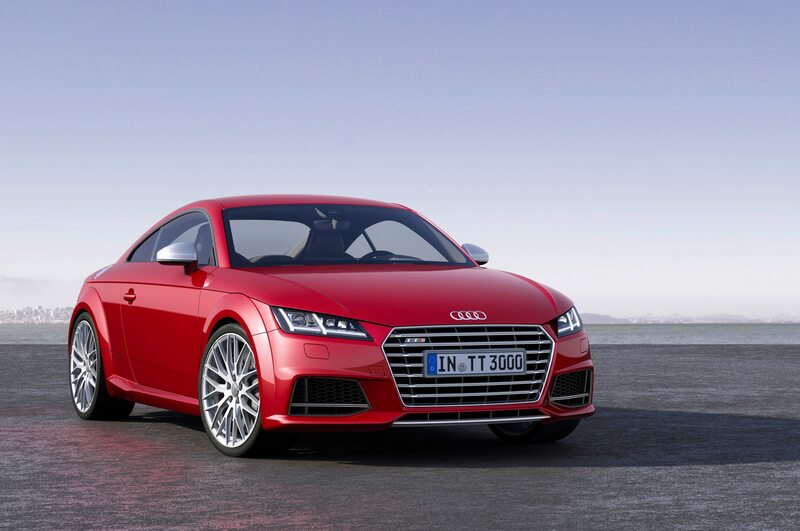 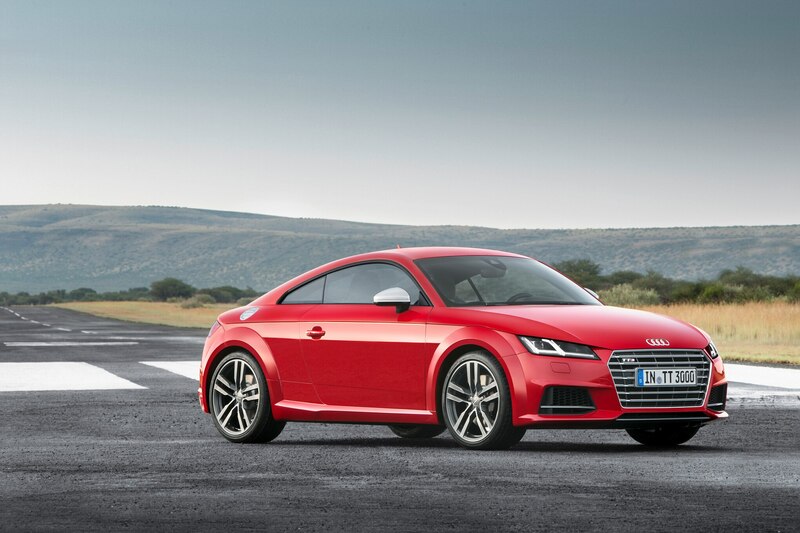 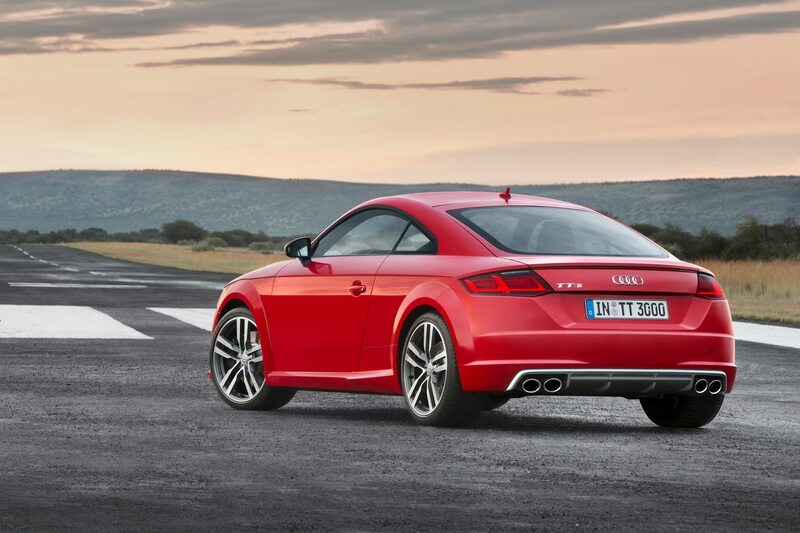 We still have a few more months to wait before the 2016 Audi TT arrives in the U.S., but we at least now know a few more details about which specific models will be available on our shores. 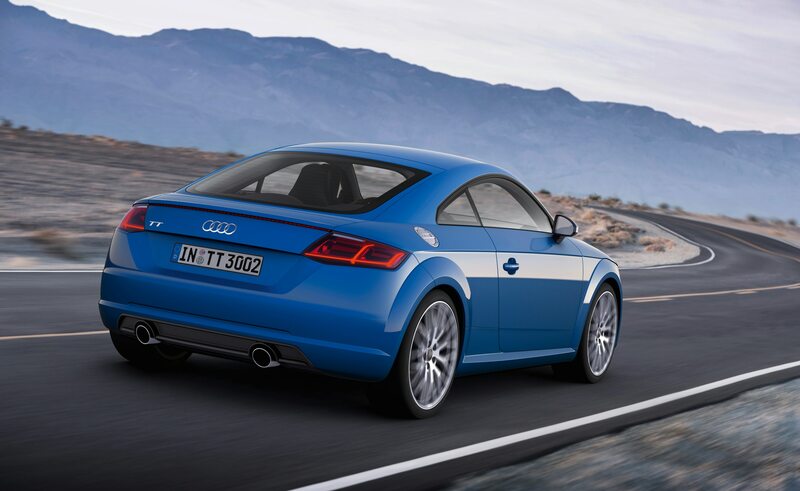 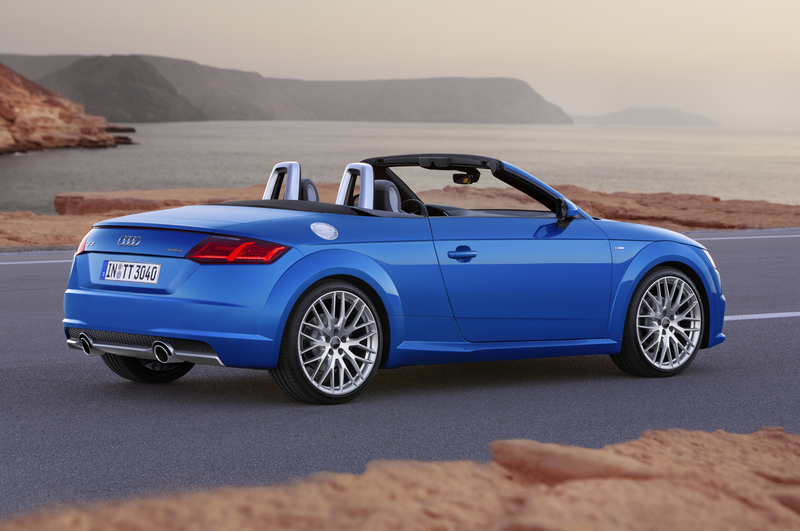 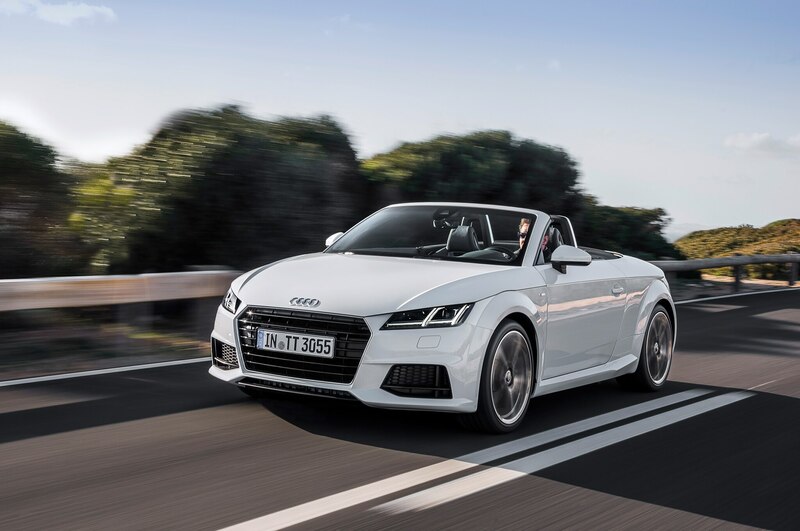 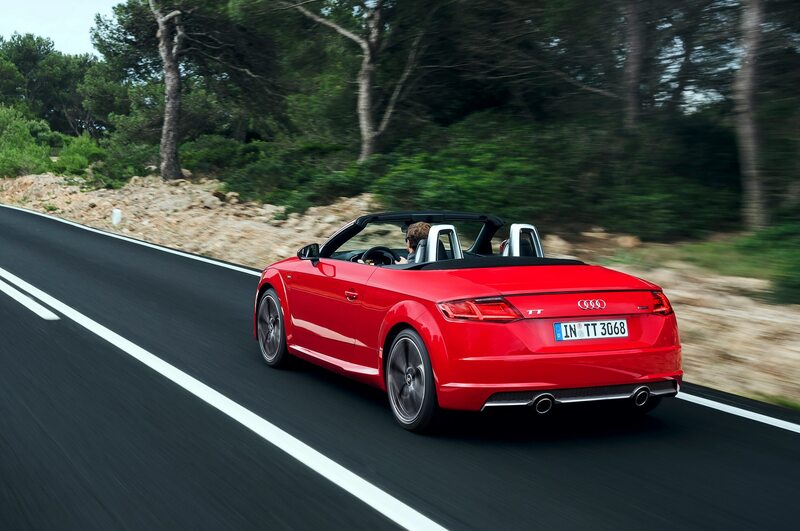 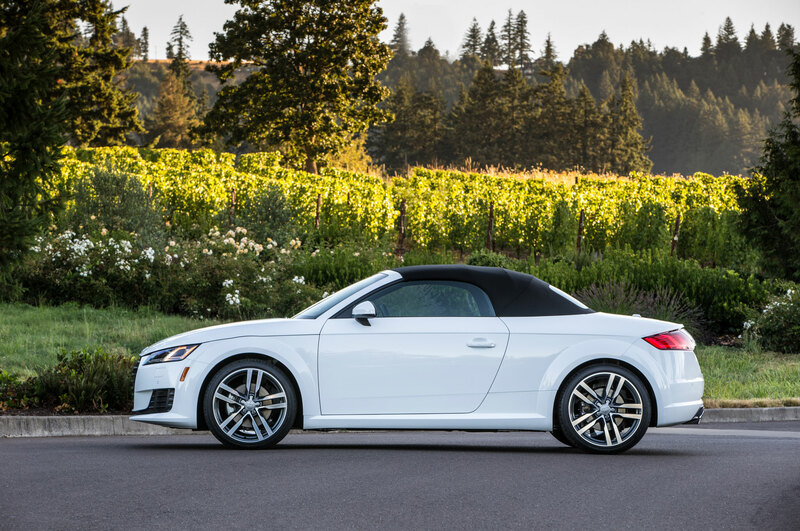 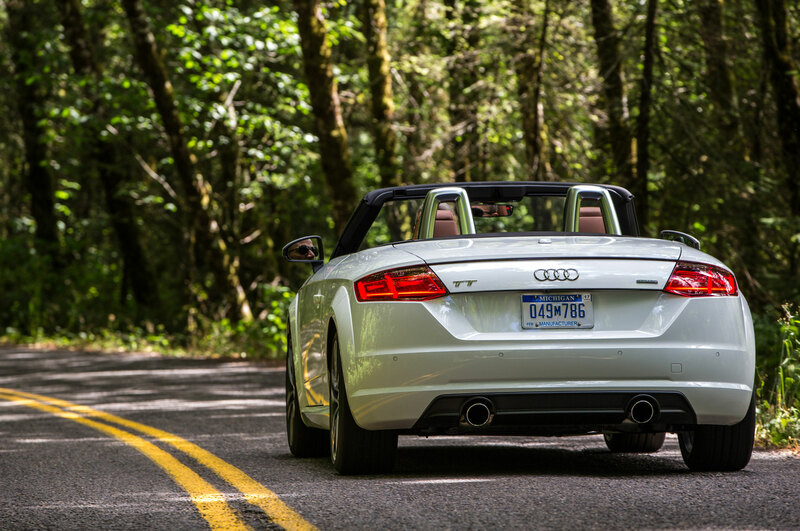 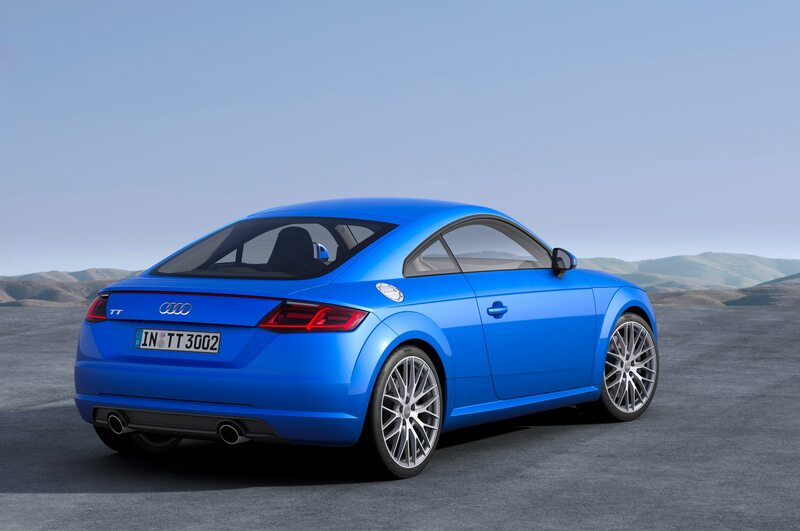 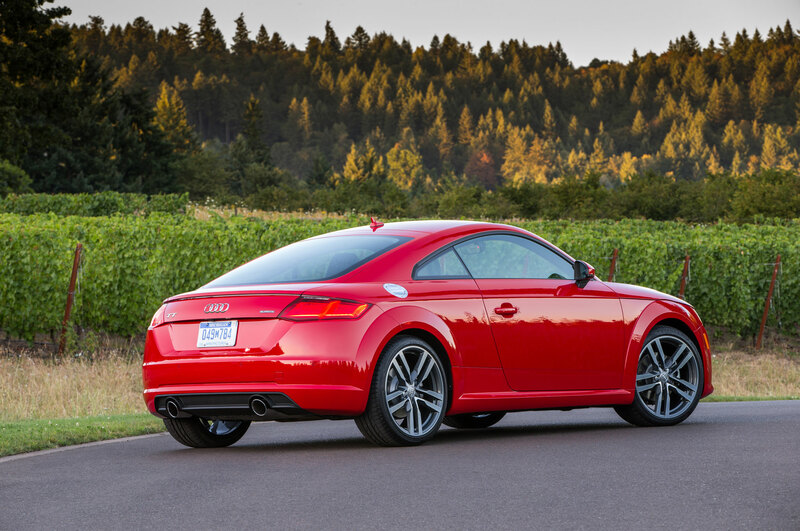 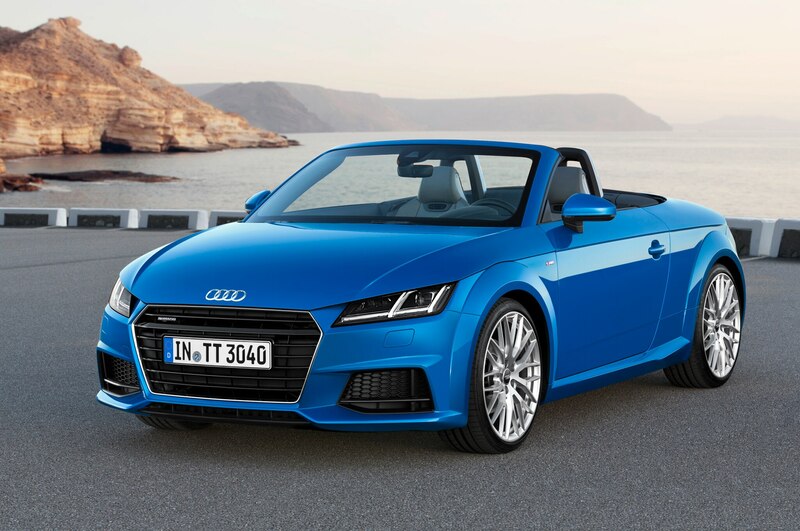 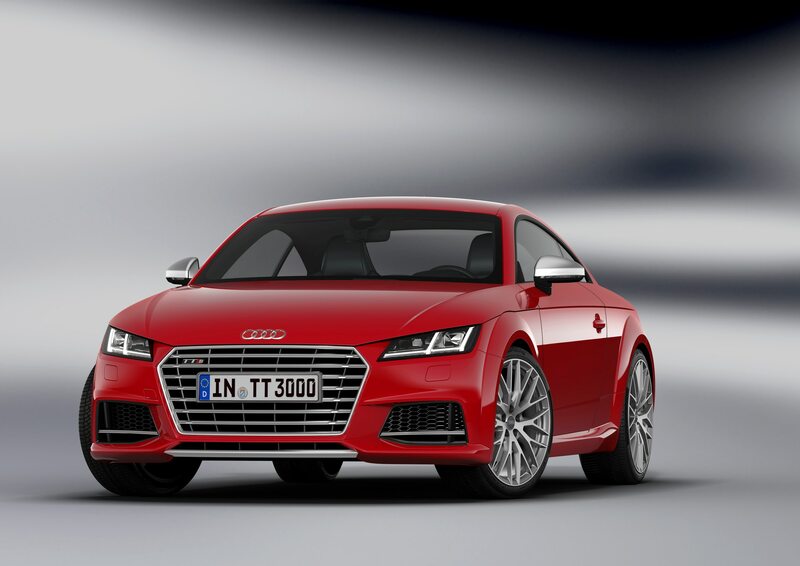 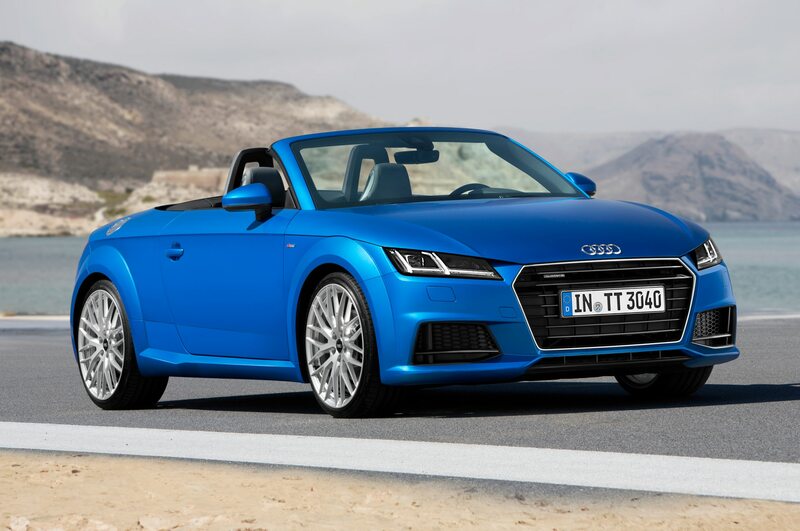 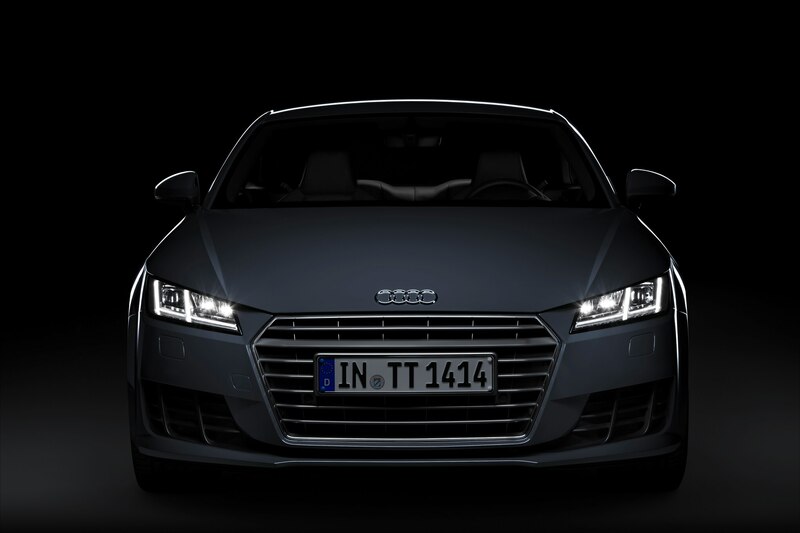 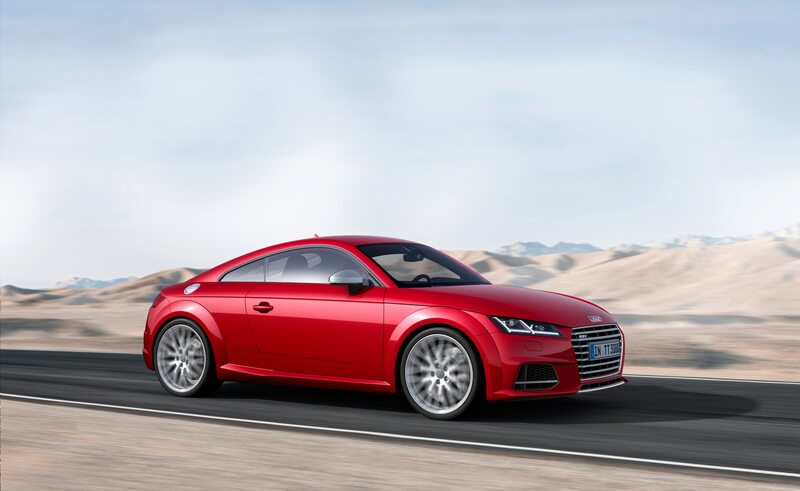 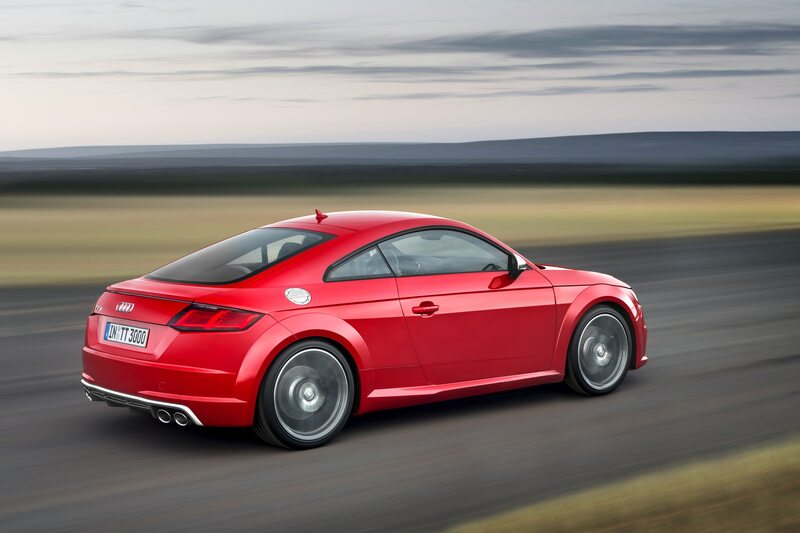 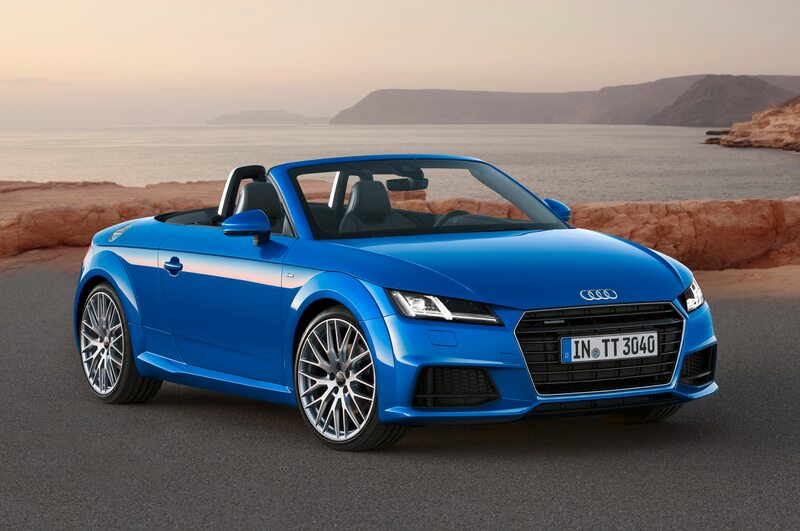 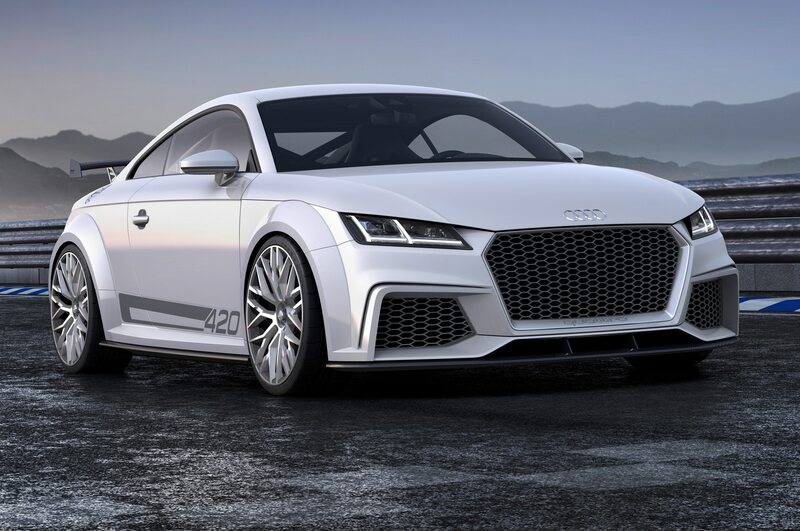 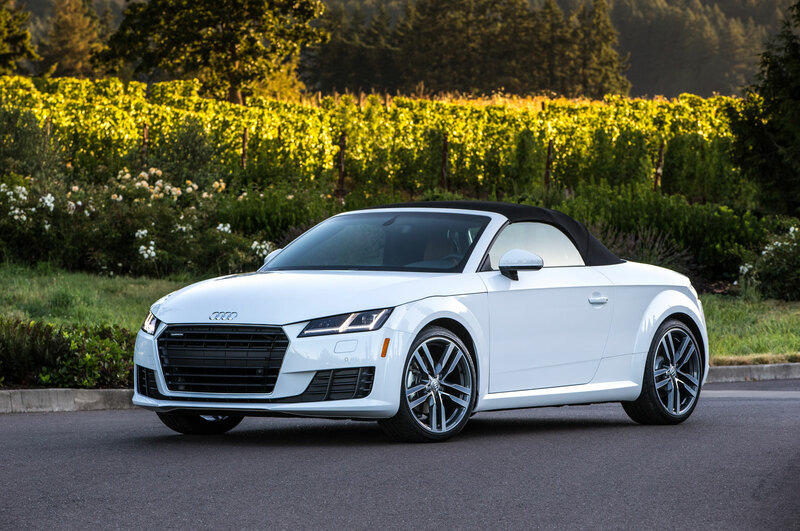 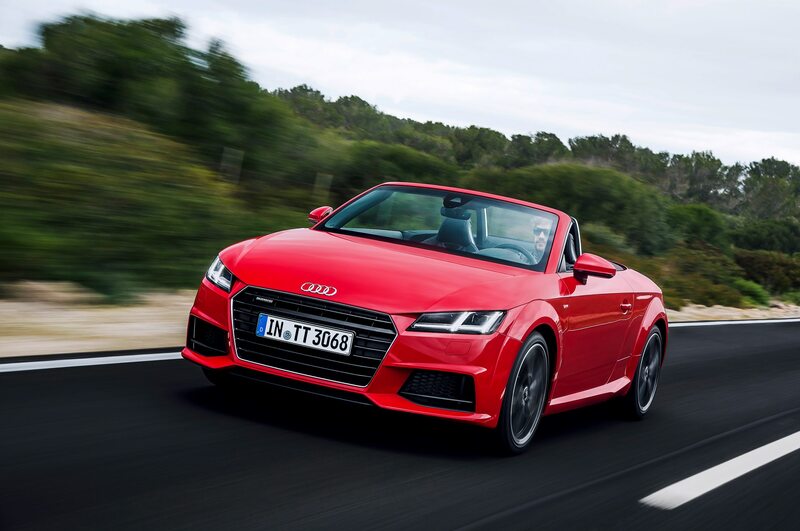 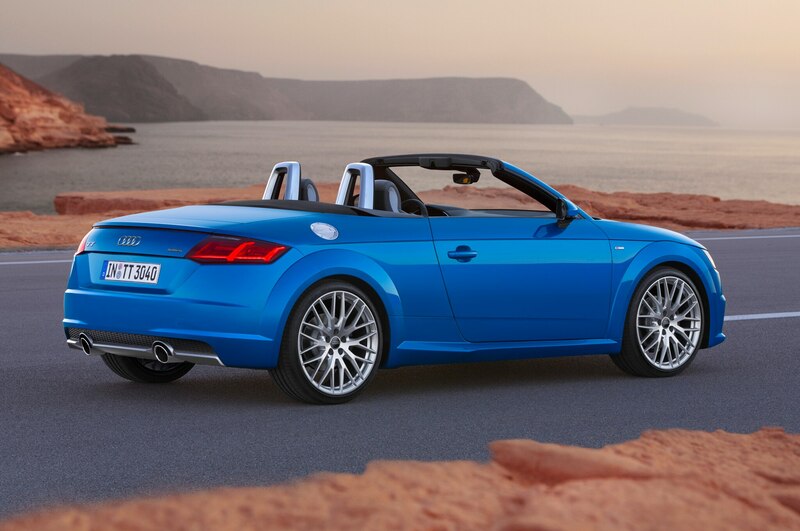 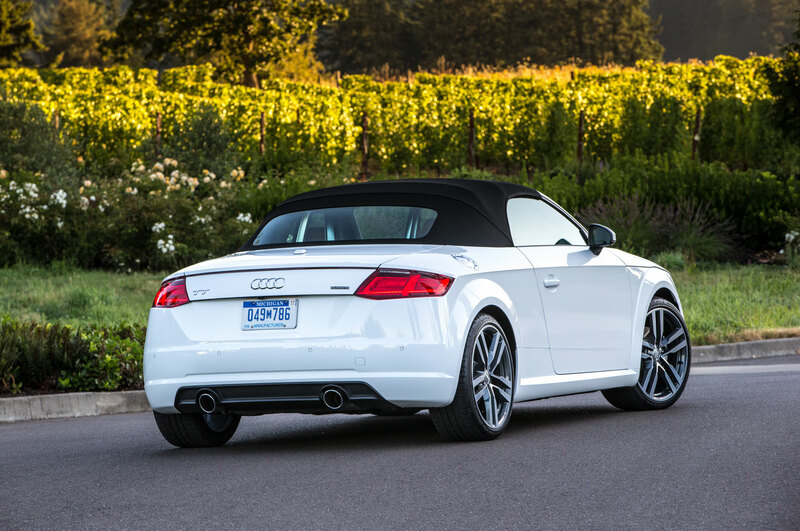 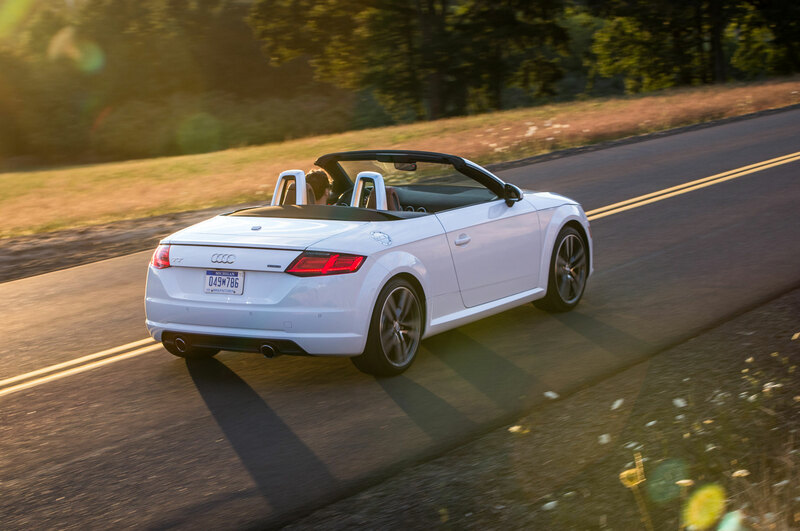 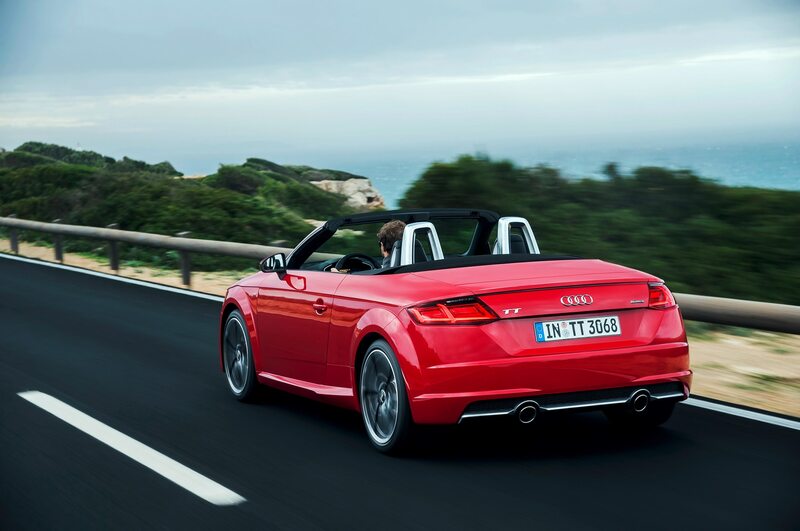 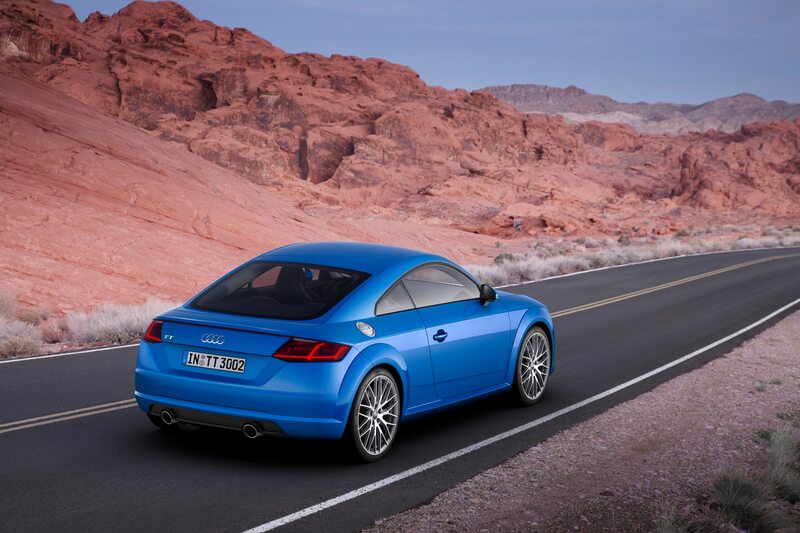 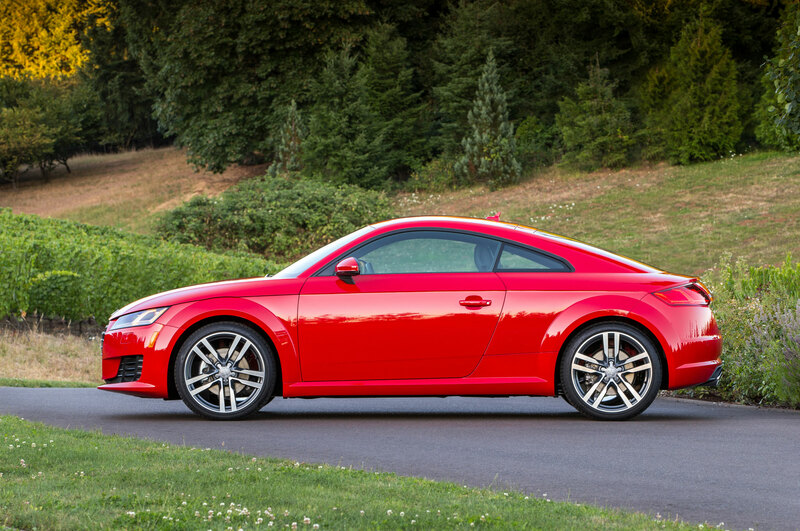 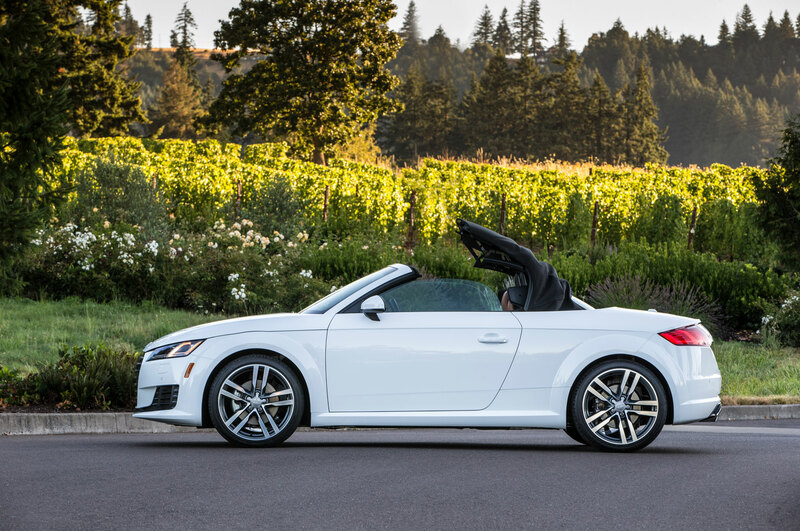 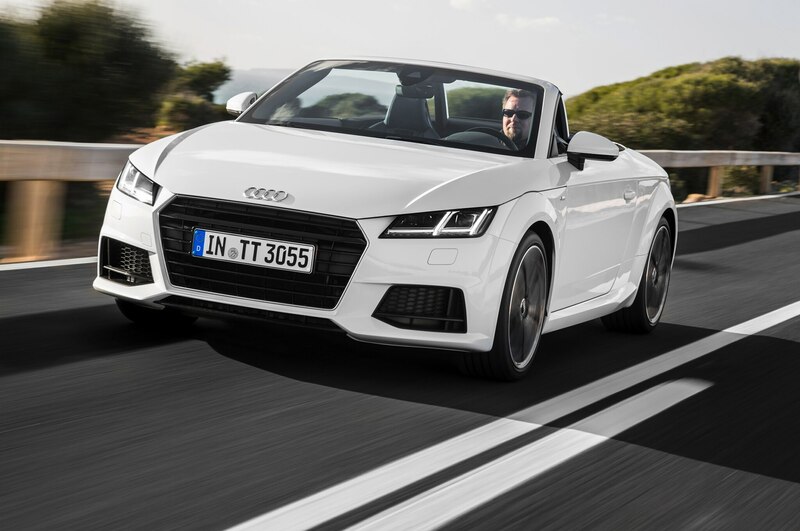 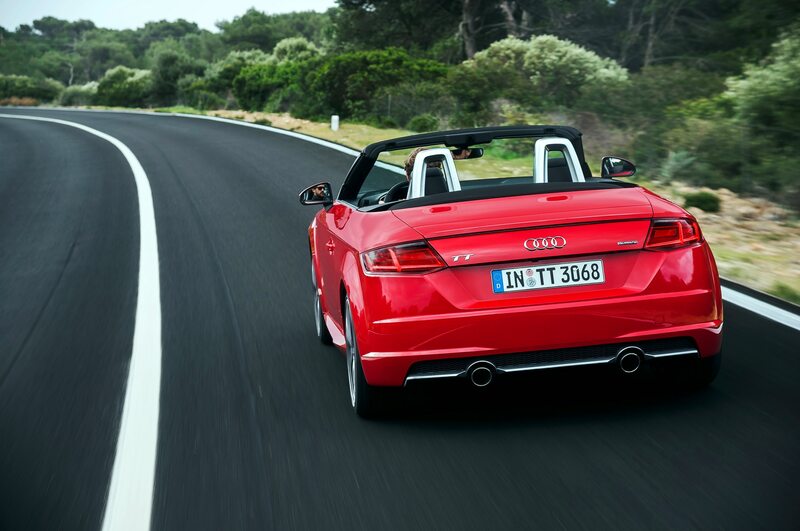 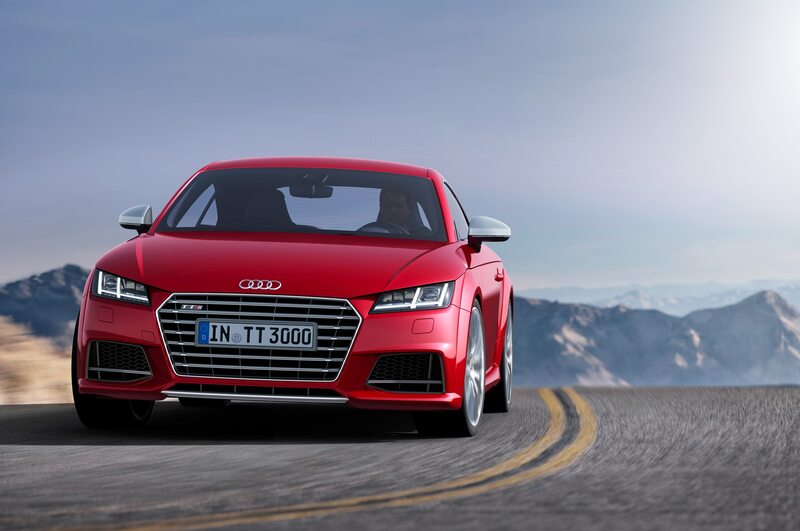 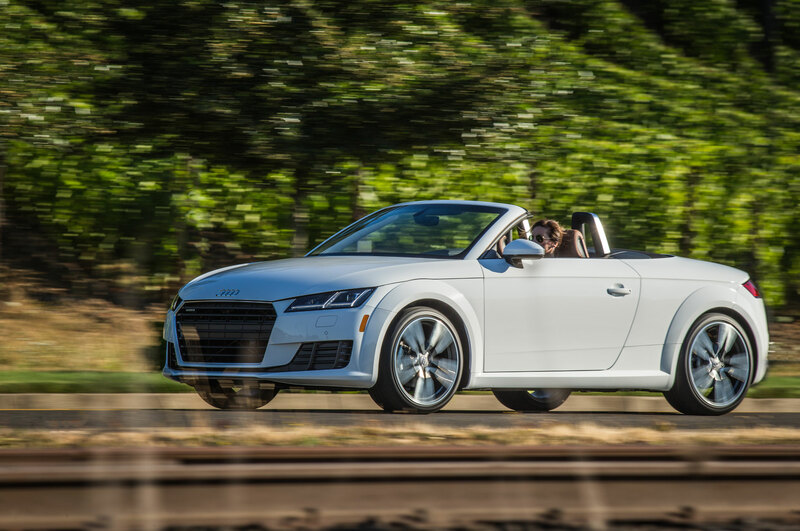 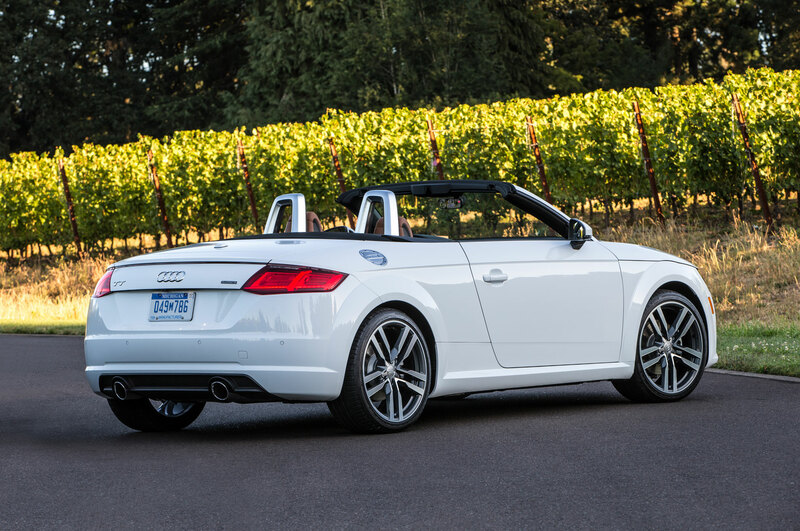 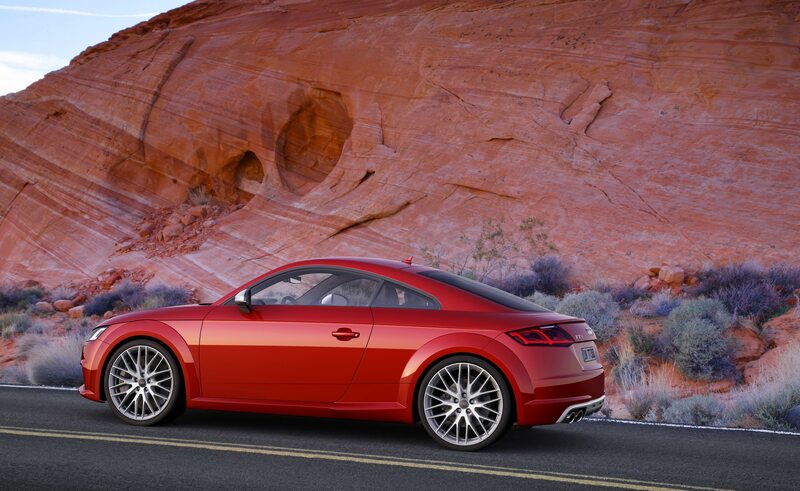 Going on sale this fall will be the TT coupe, the TT convertible, and the high-performance TTS coupe; the TTS convertible offered in other markets won’t be coming to America, at least not for now. 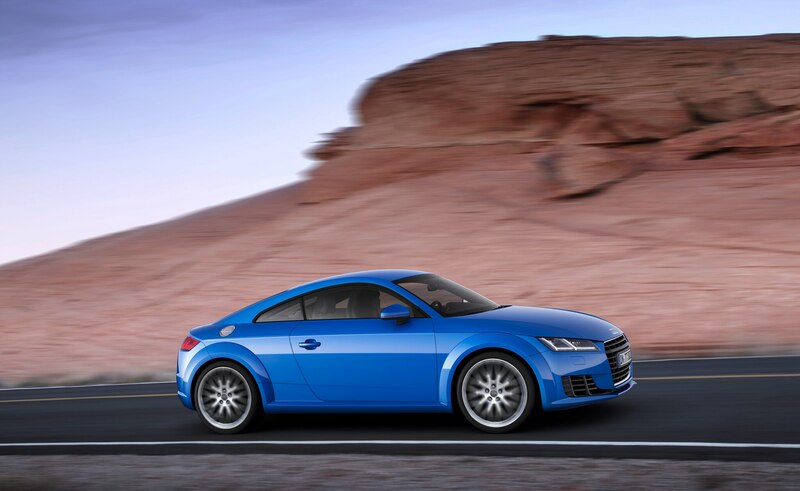 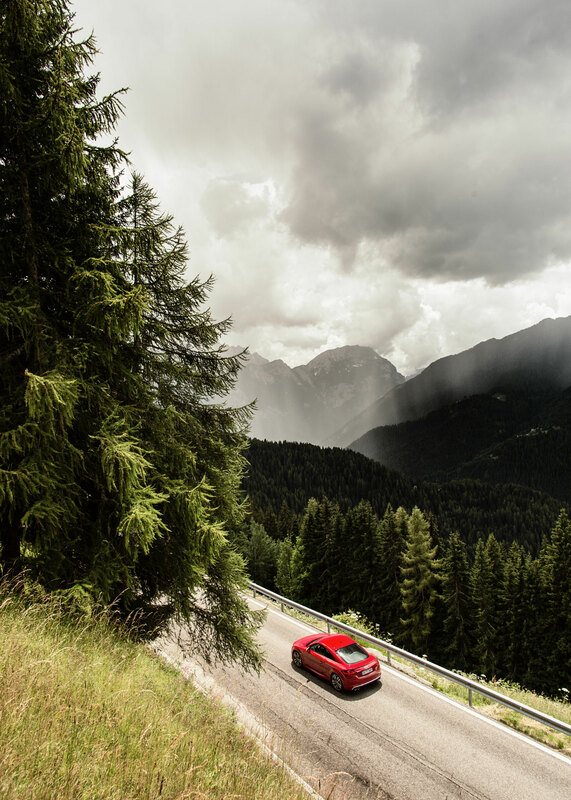 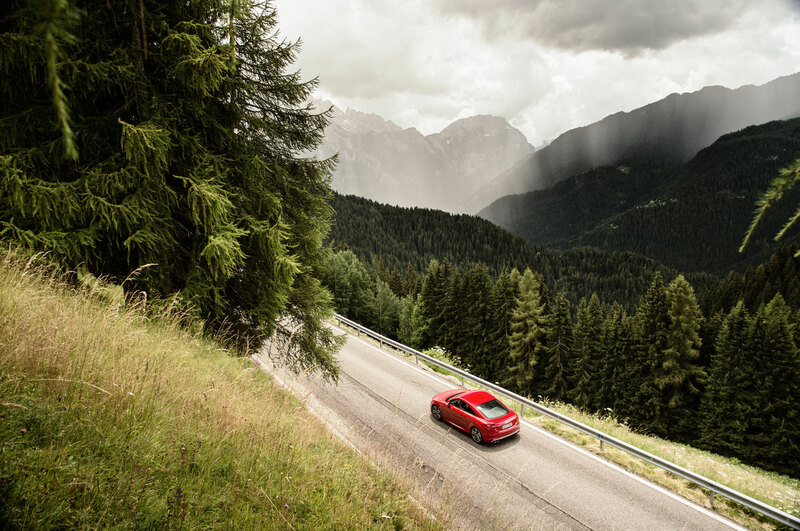 The redesigned 2016 Audi TT first debuted at the 2014 Geneva auto show, and now rides on the Volkswagen Group’s new modular MQB platform. 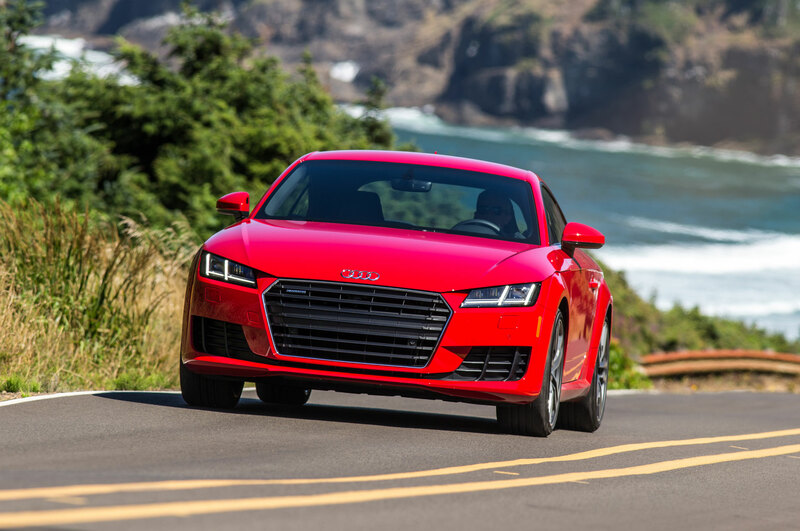 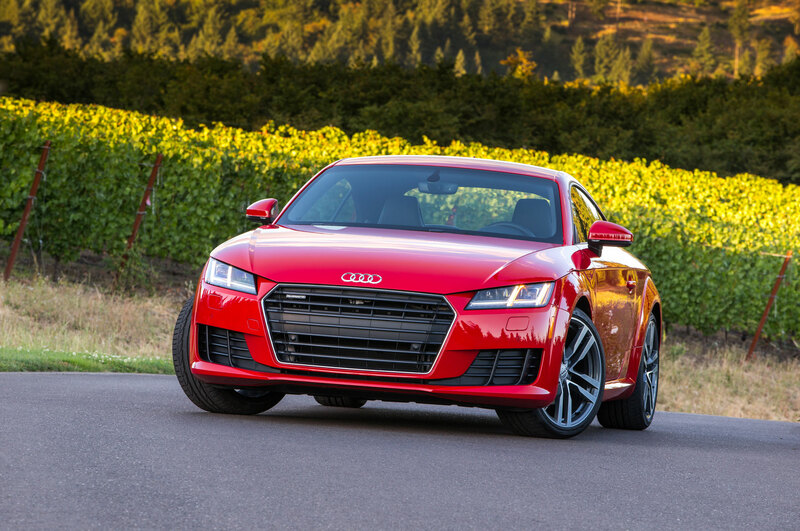 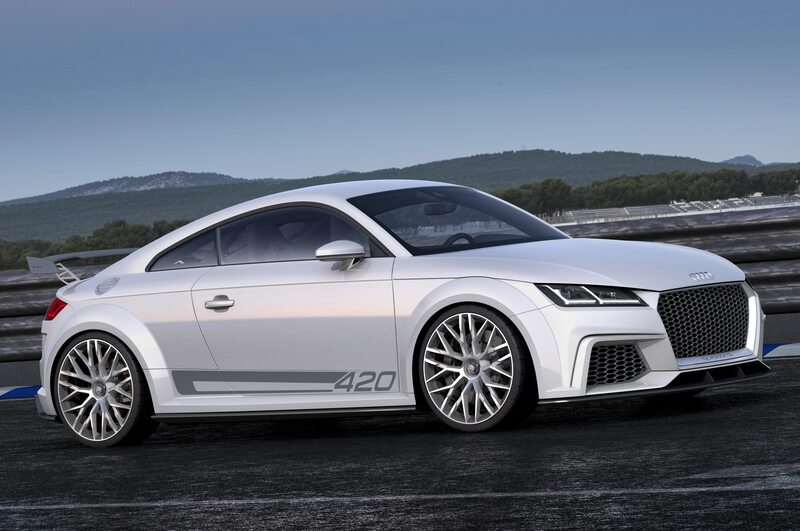 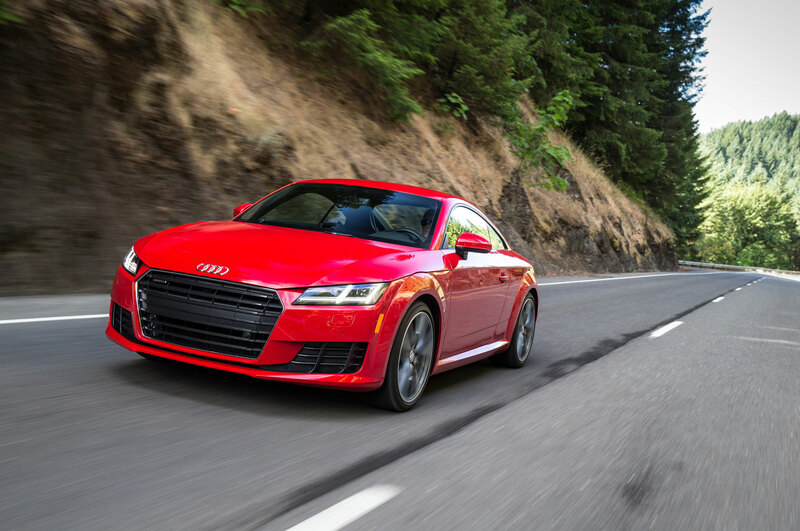 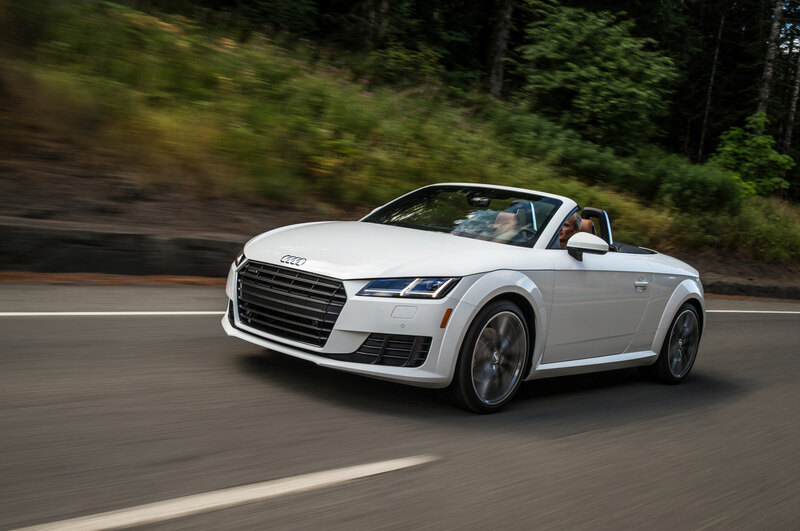 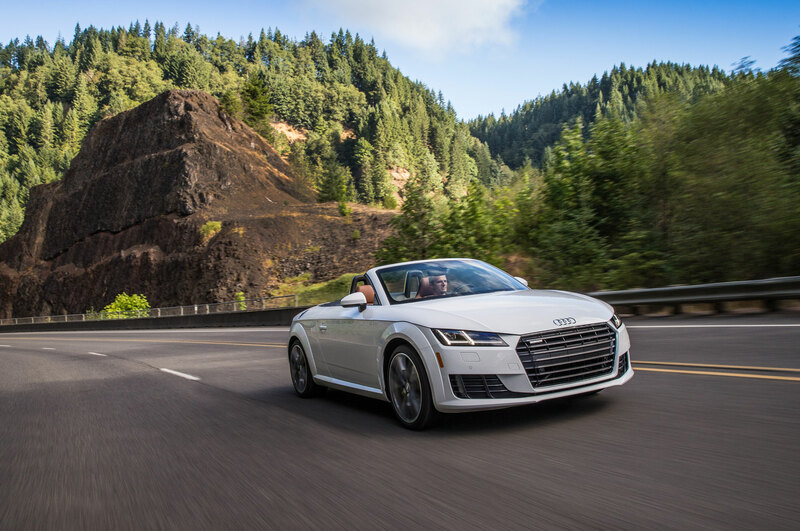 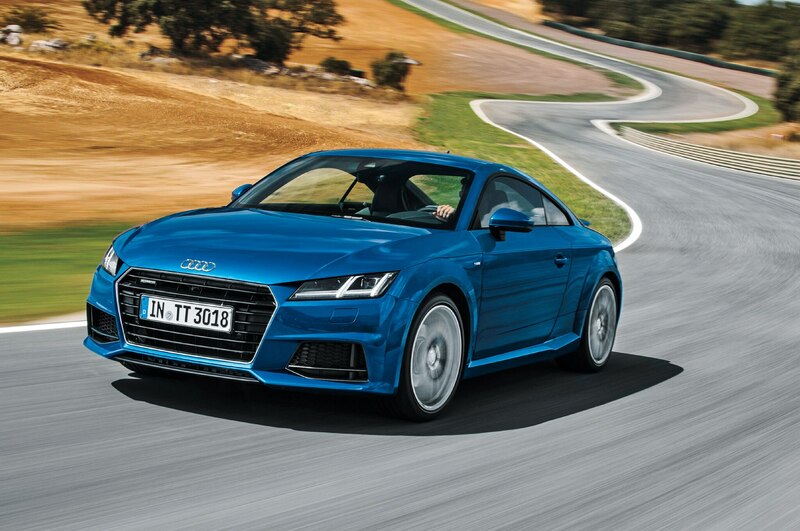 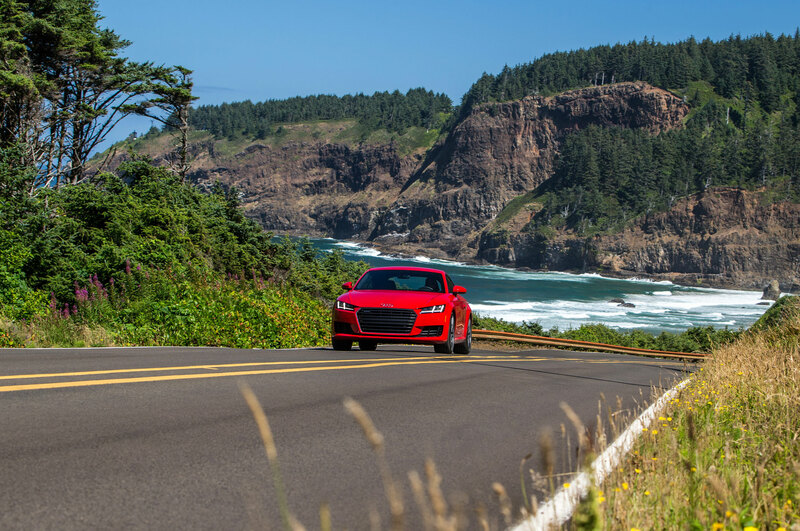 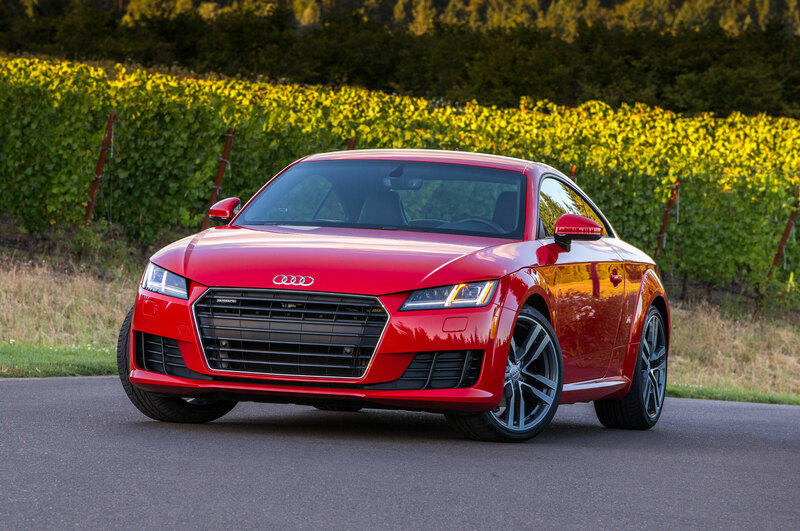 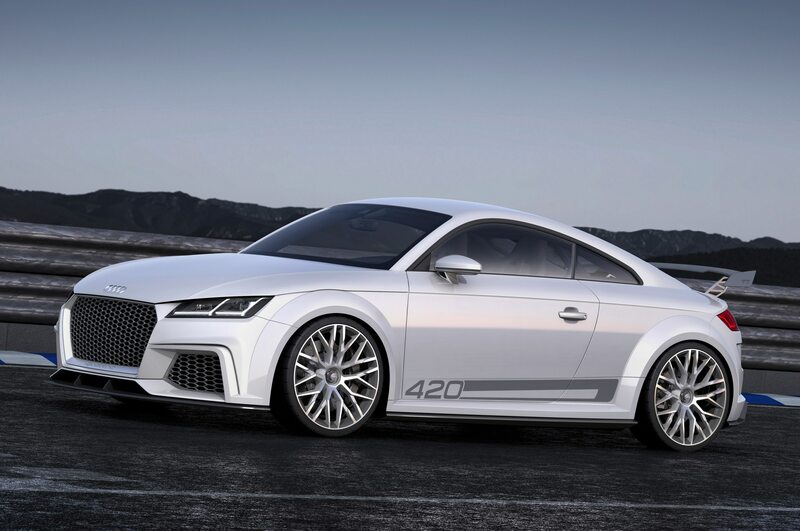 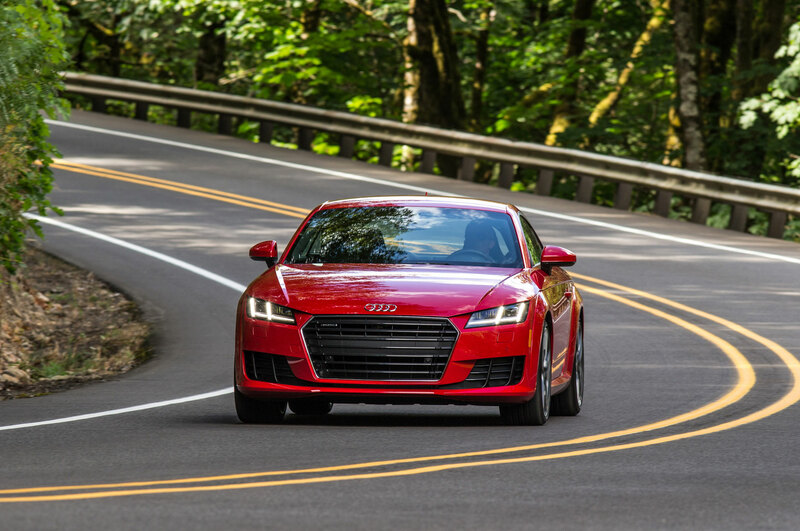 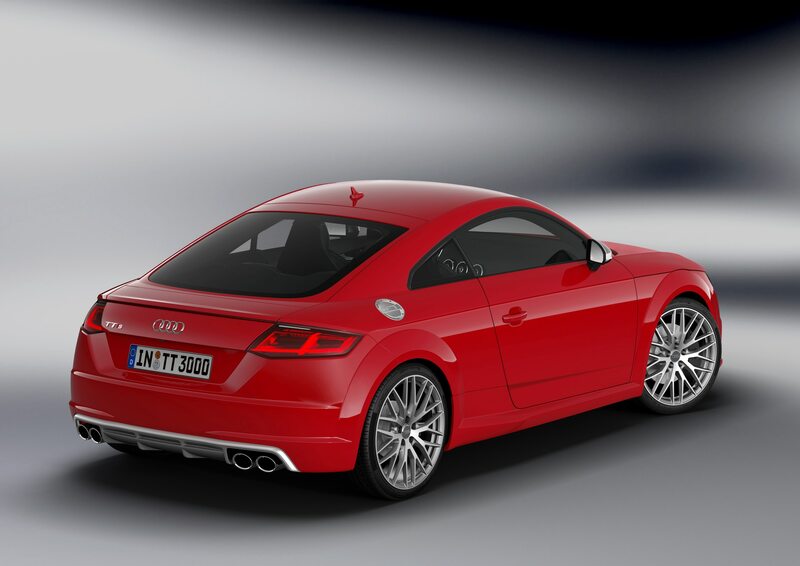 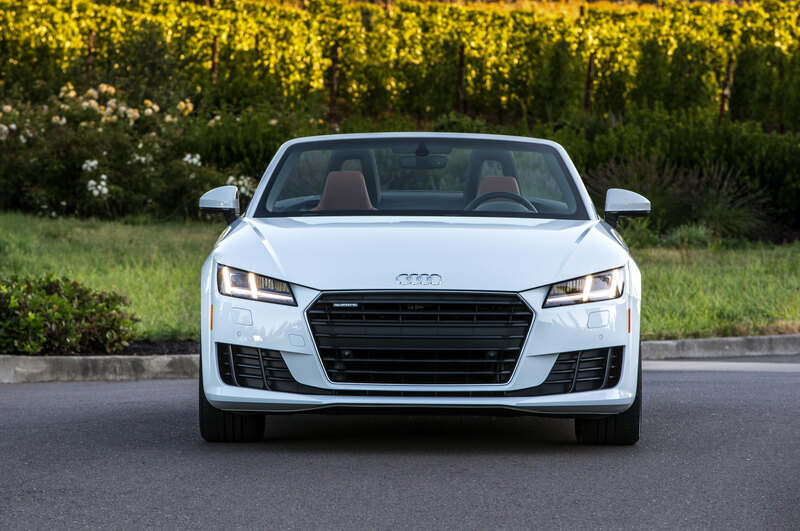 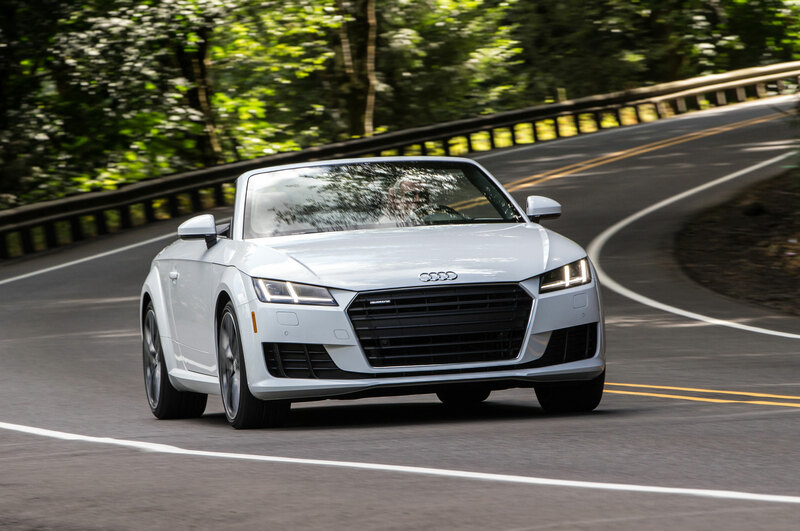 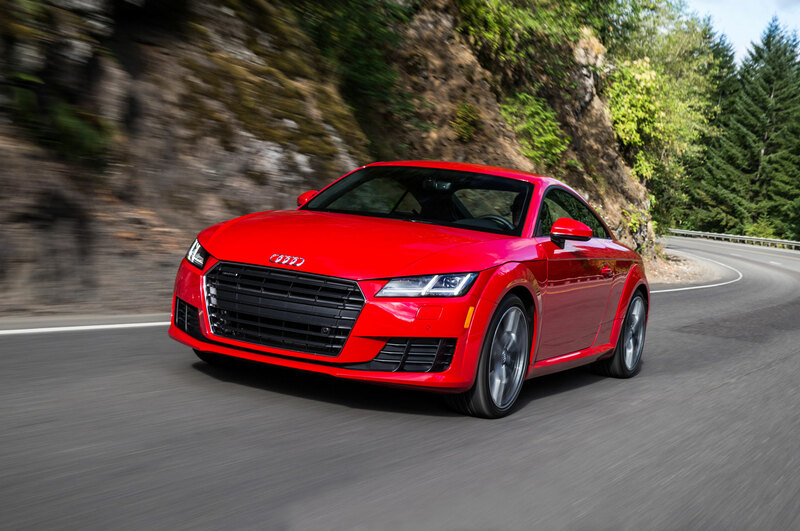 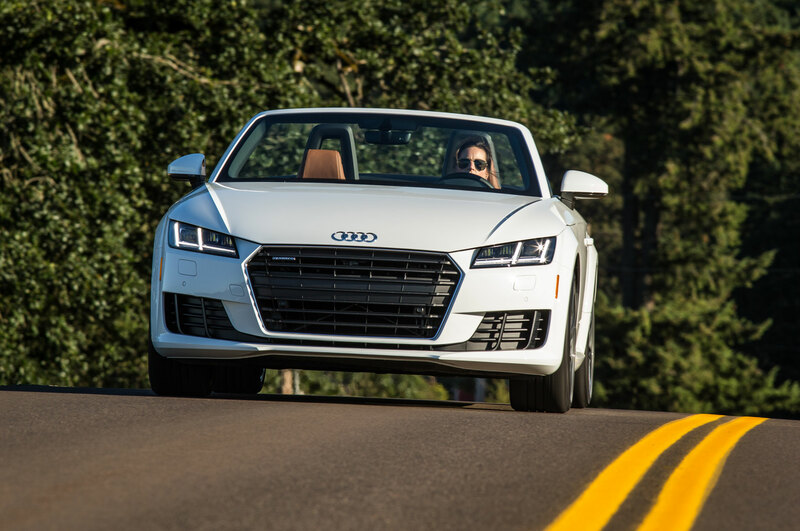 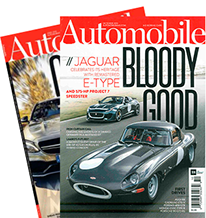 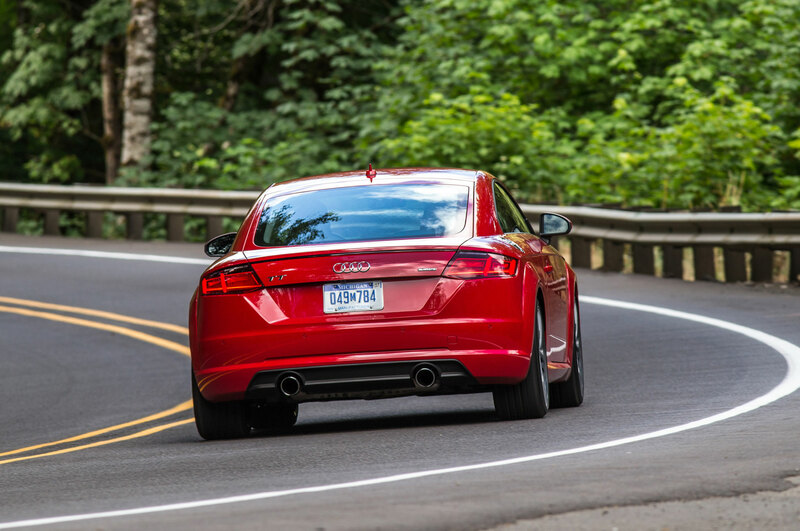 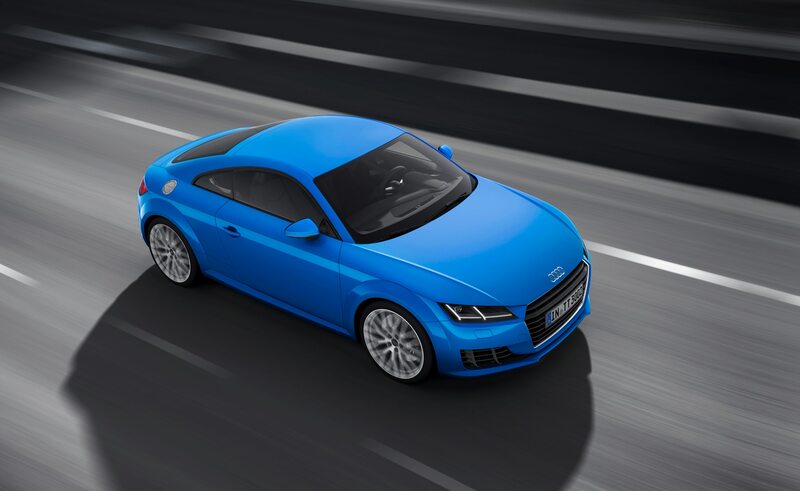 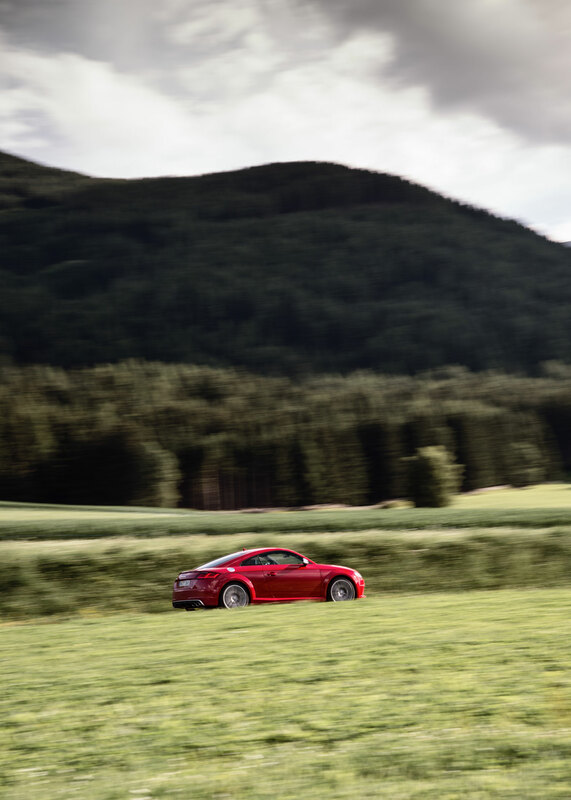 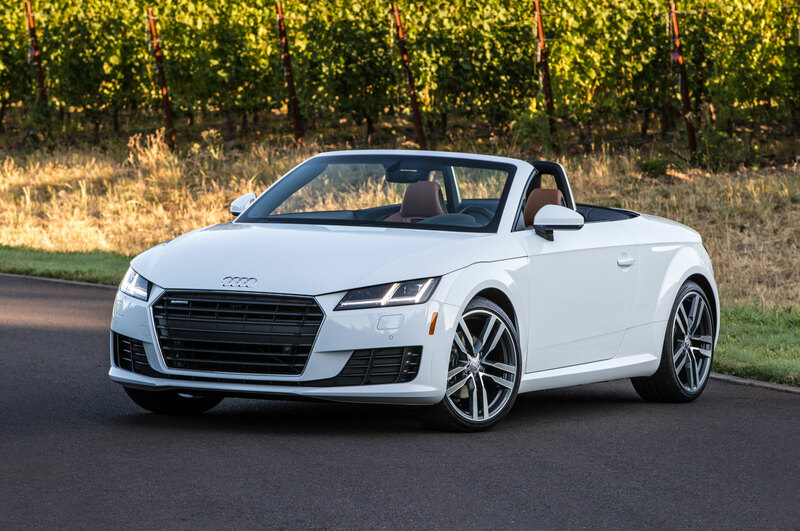 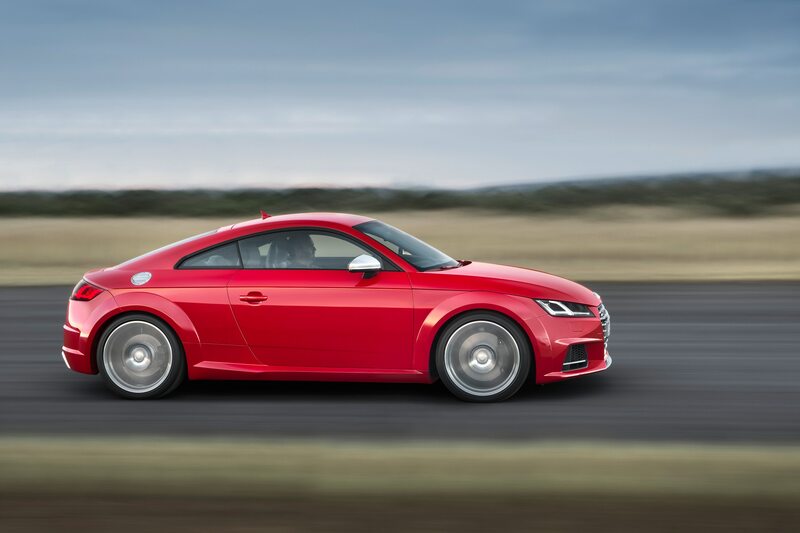 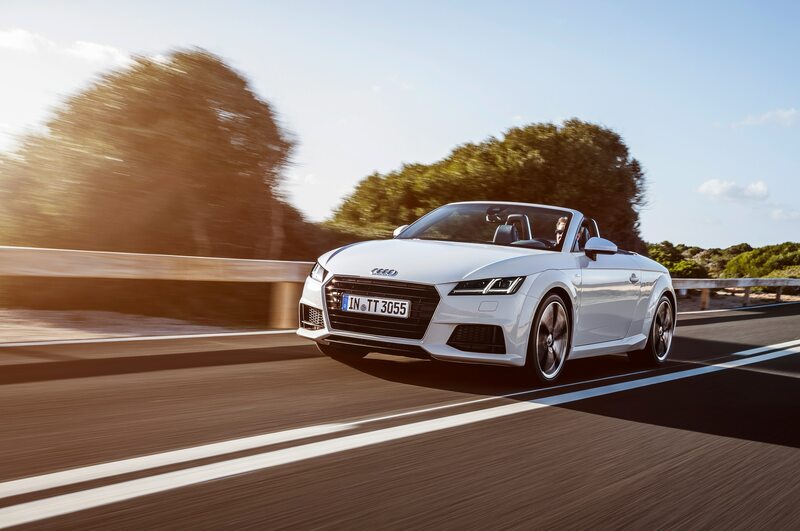 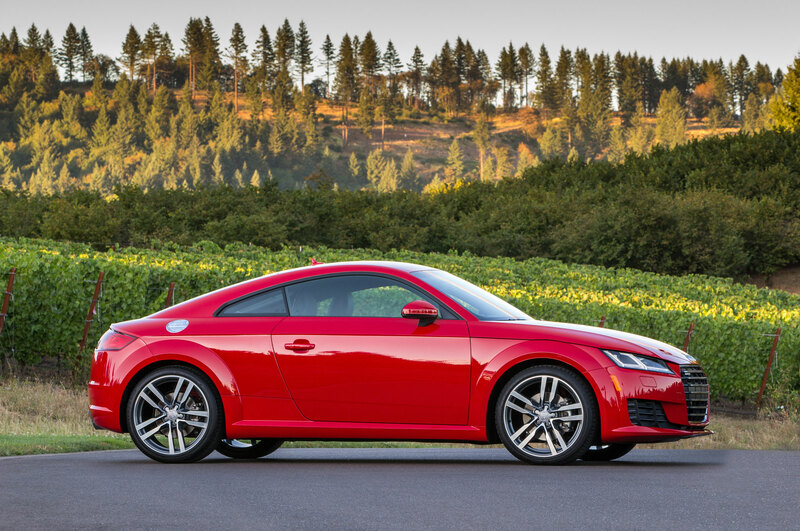 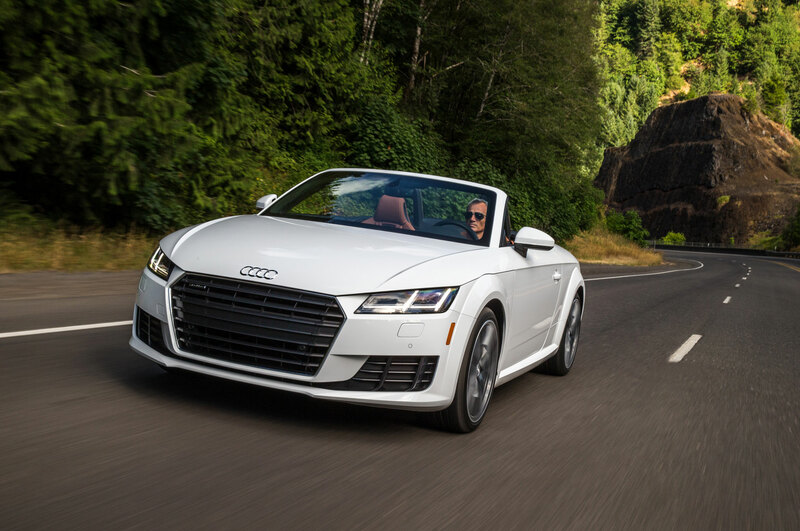 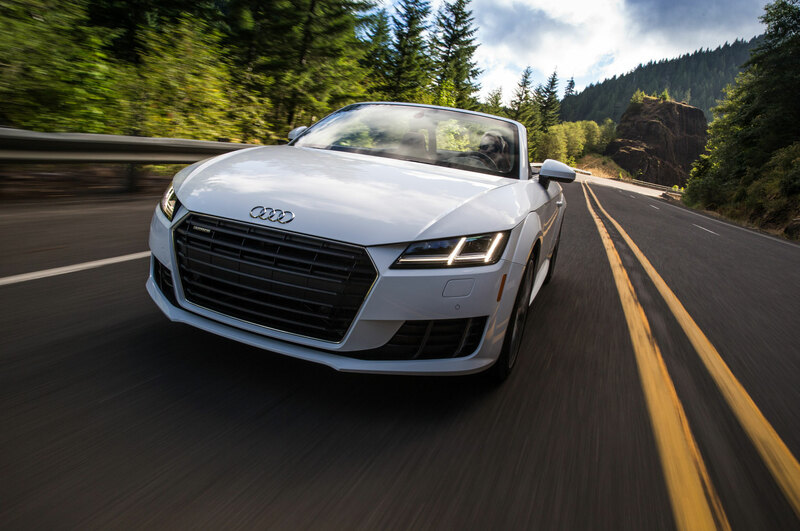 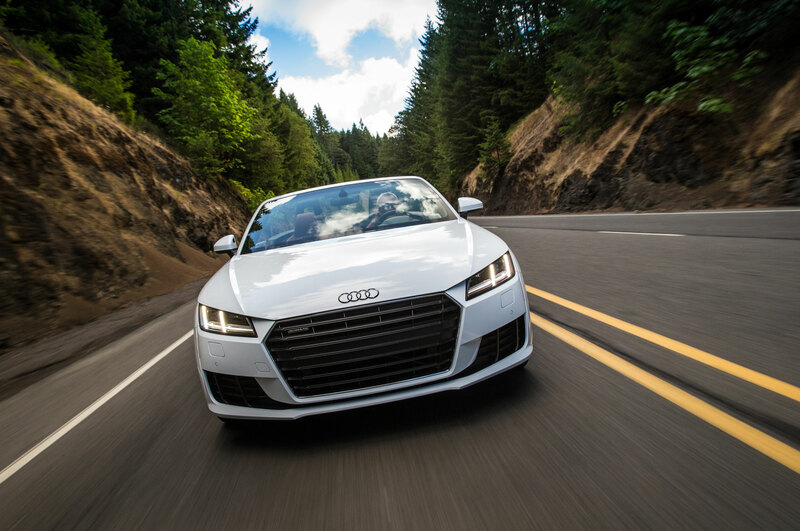 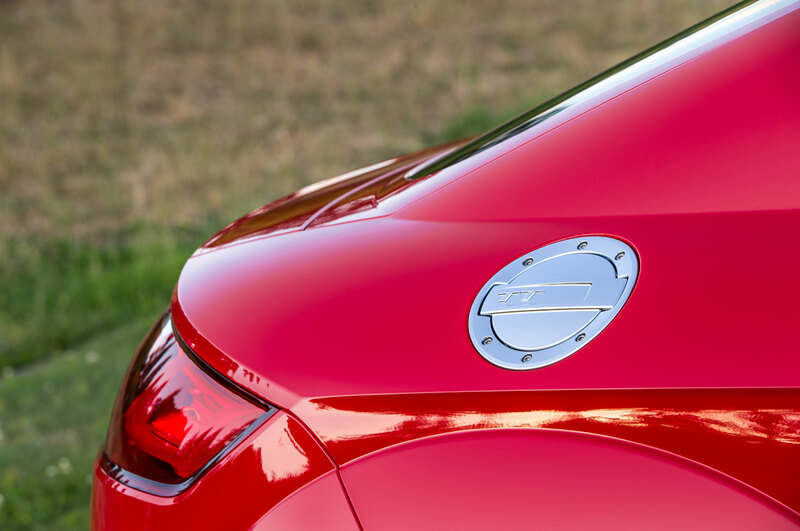 The standard TT coupe and convertible models we’ll get are powered by a 2.0-liter turbocharged four-cylinder engine that makes 220 hp and 258 lb-ft of torque and mates with a six-speed dual-clutch transmission and standard Quattro all-wheel drive. 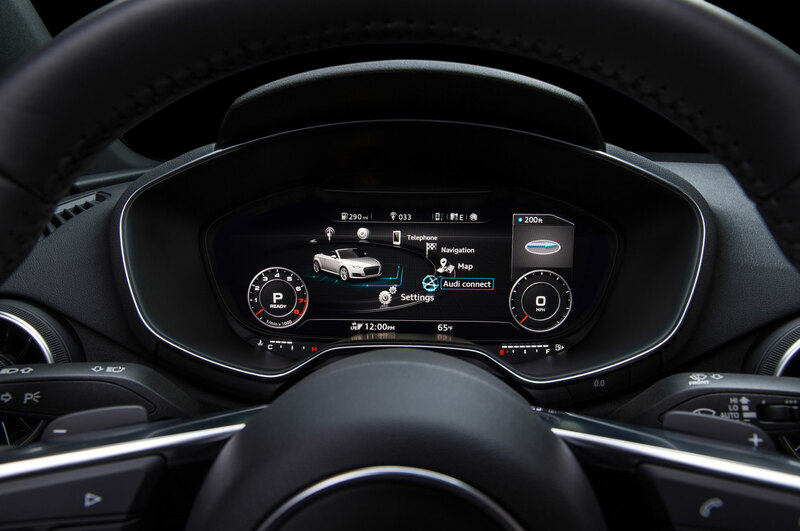 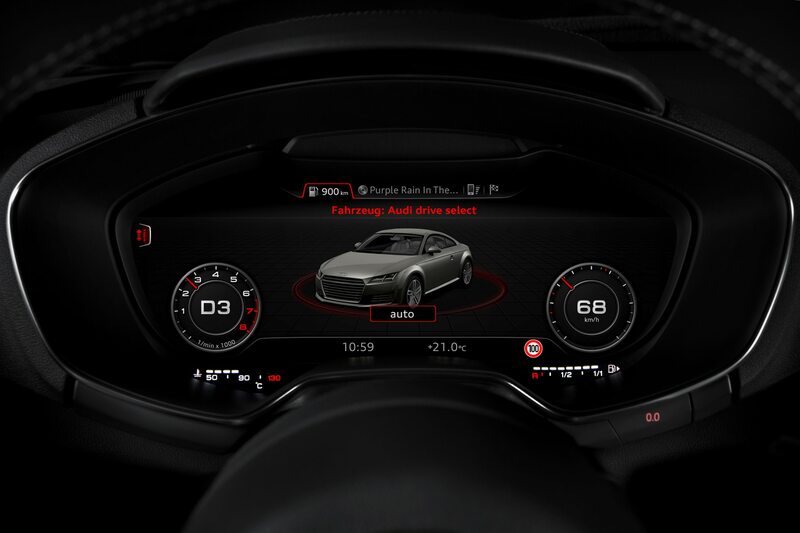 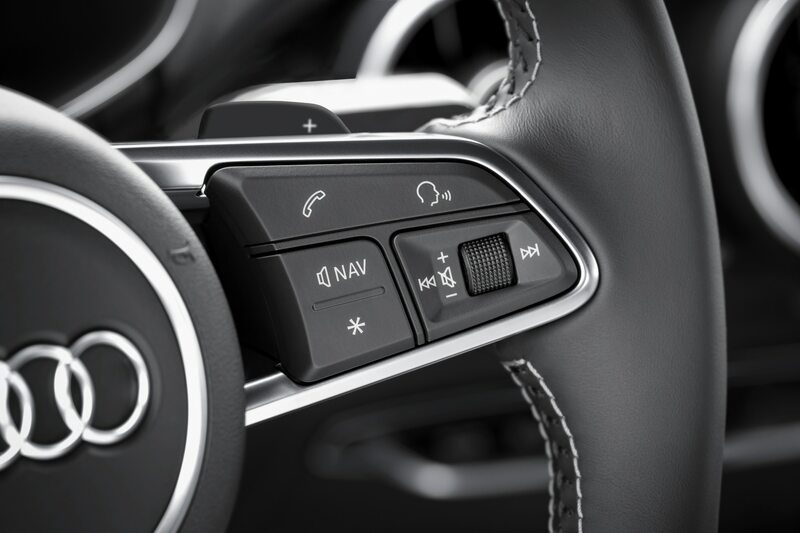 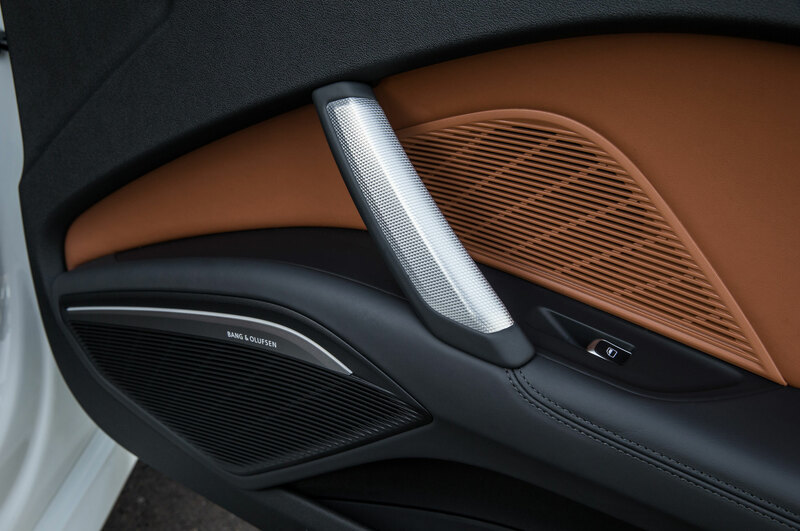 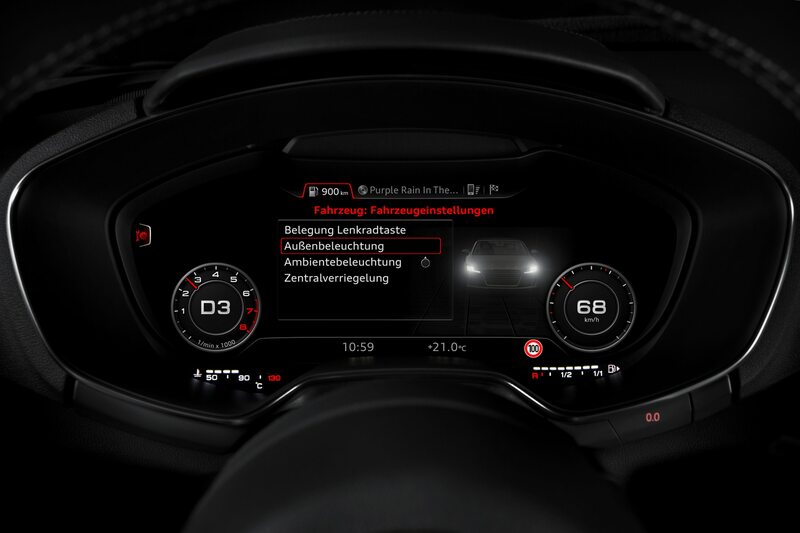 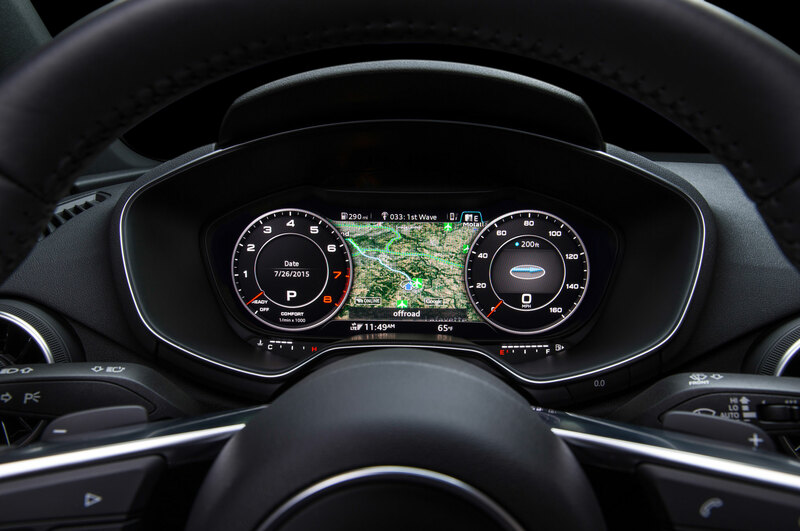 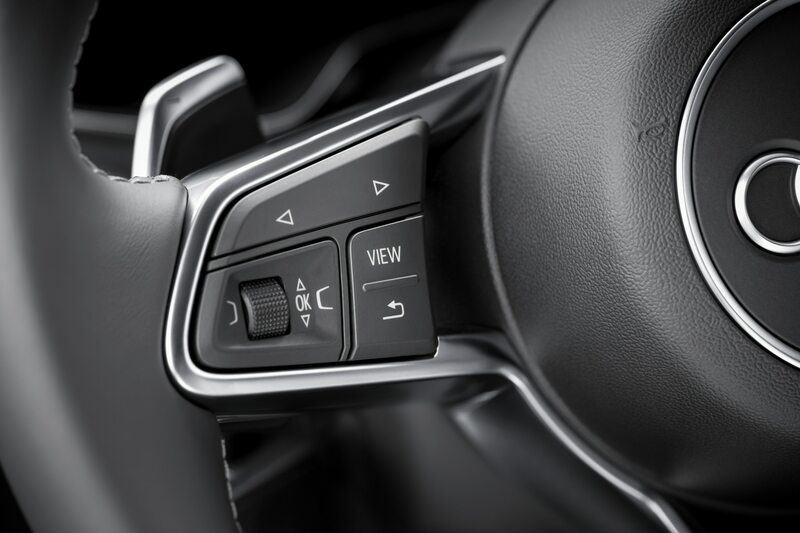 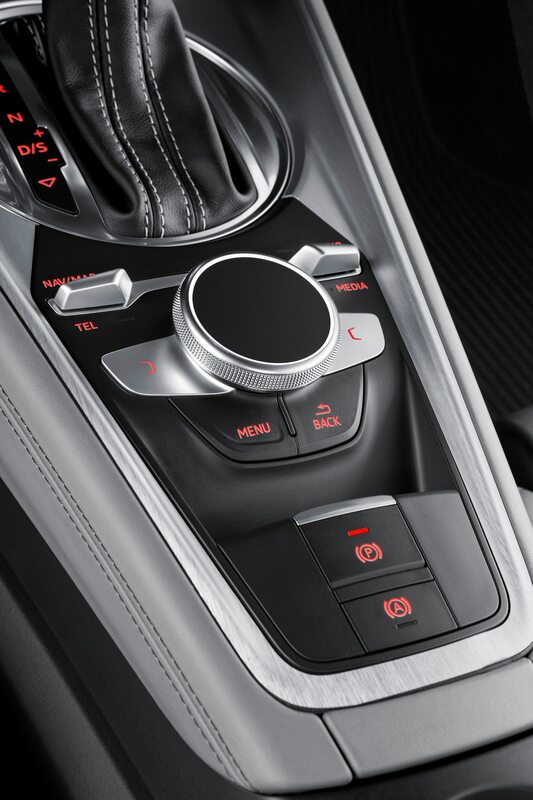 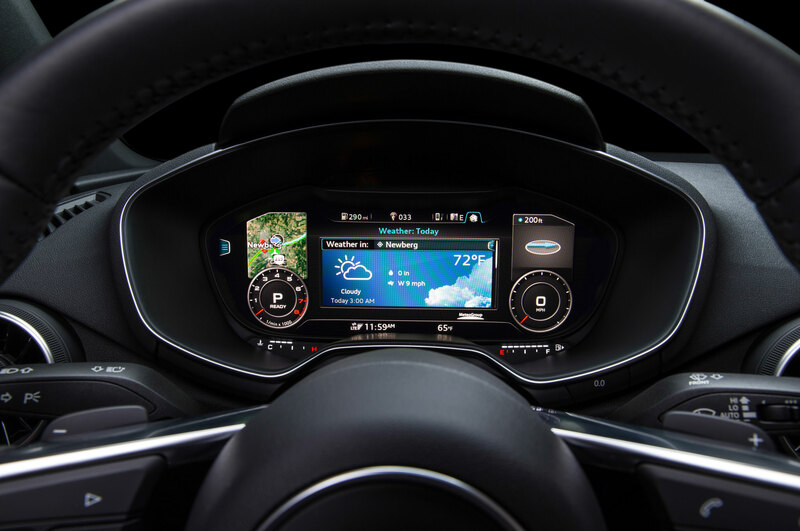 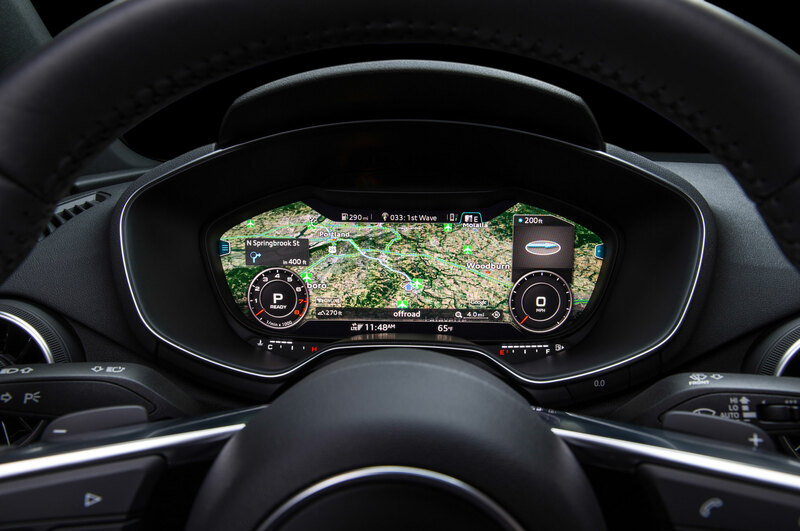 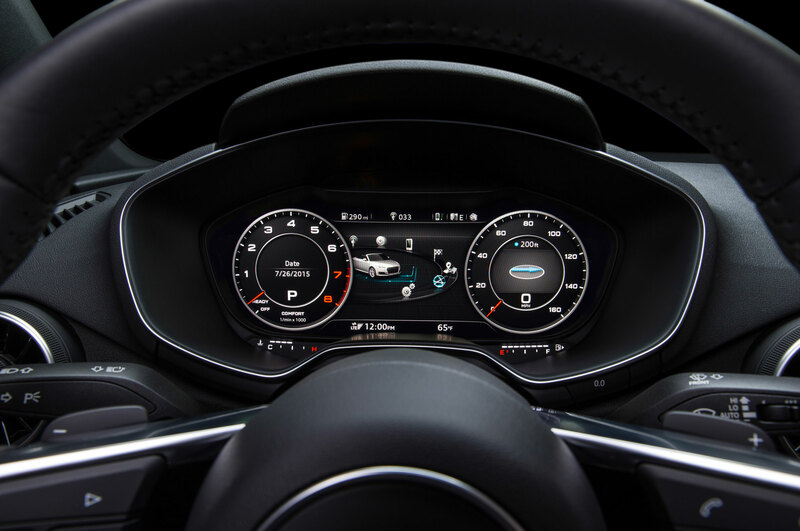 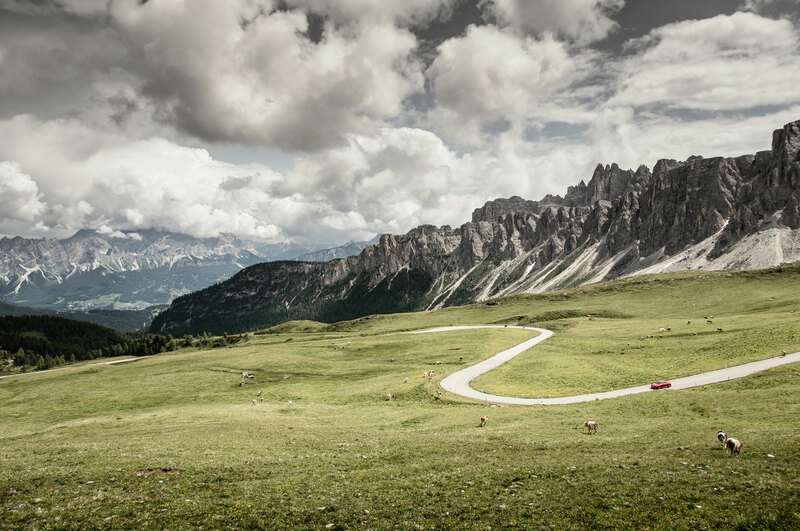 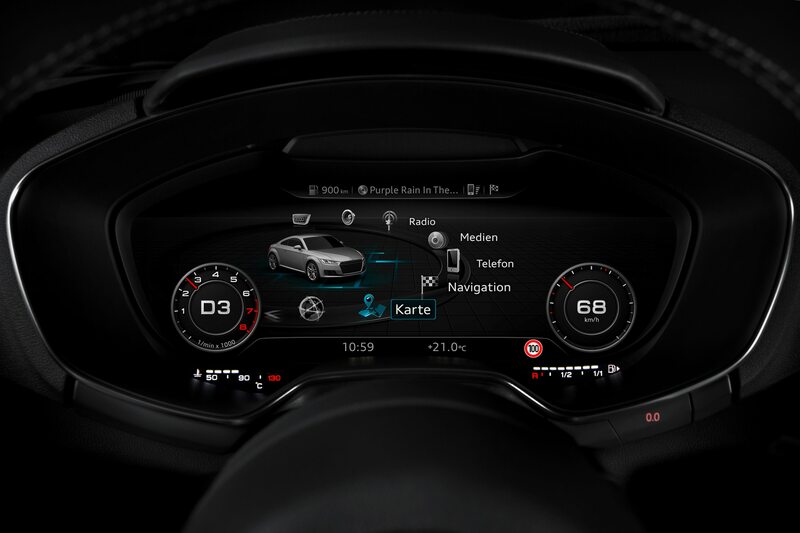 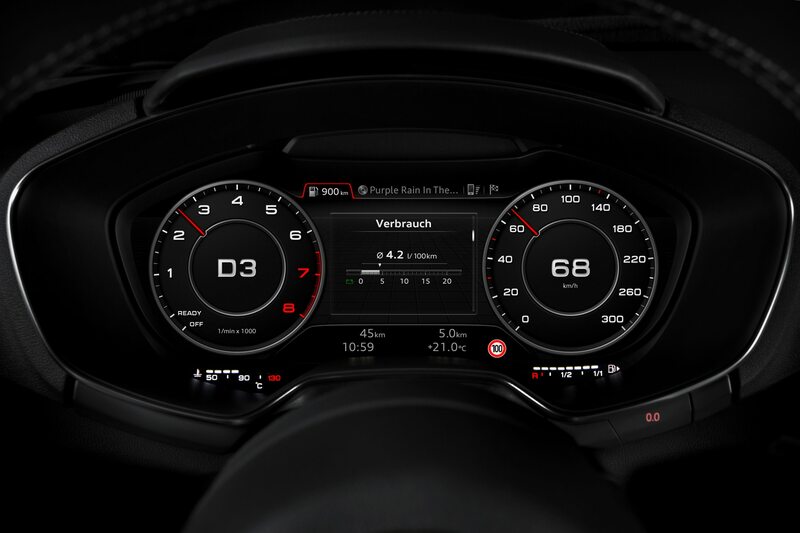 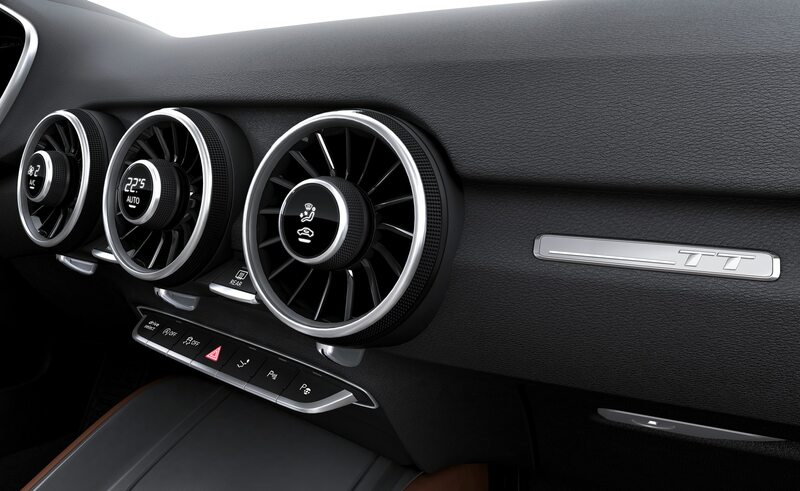 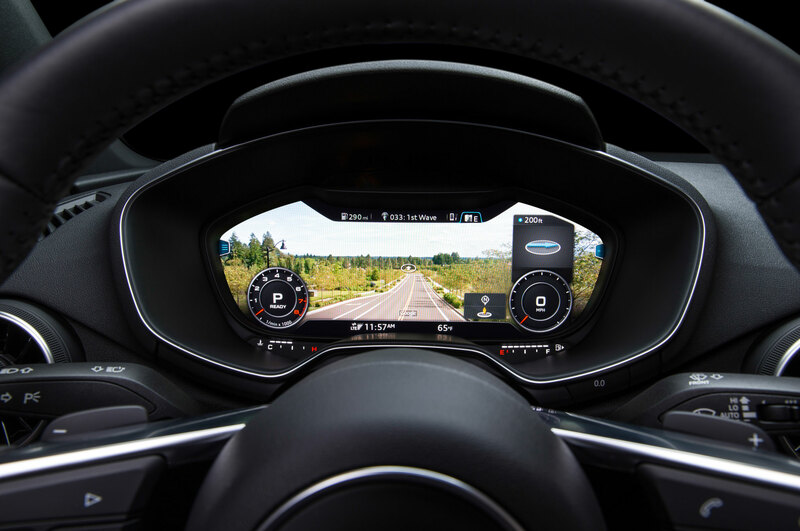 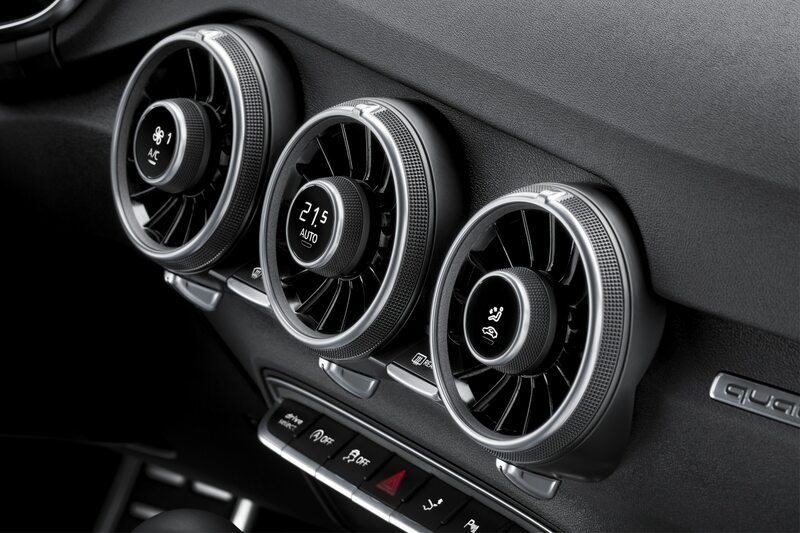 Standard features include automatic climate control, an interior trimmed in leather and Alcantara, 18-inch wheels, LED headlights, and Audi’s new MMI infotainment system with a large display screen in the instrument panel. 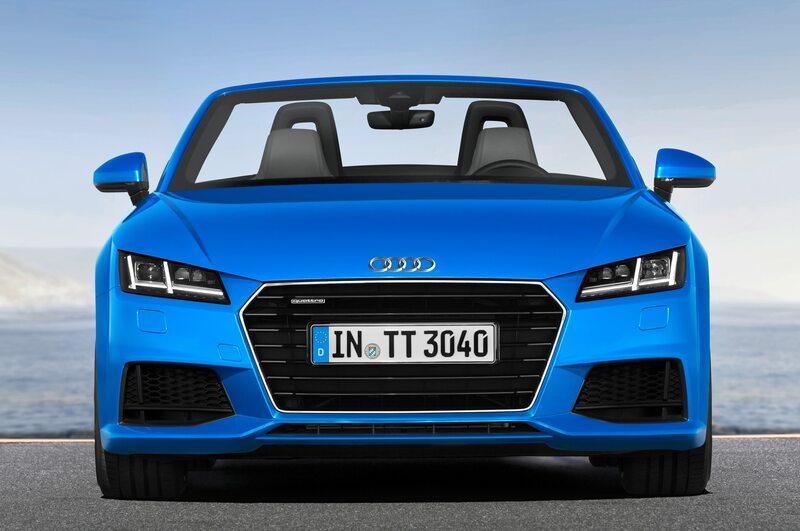 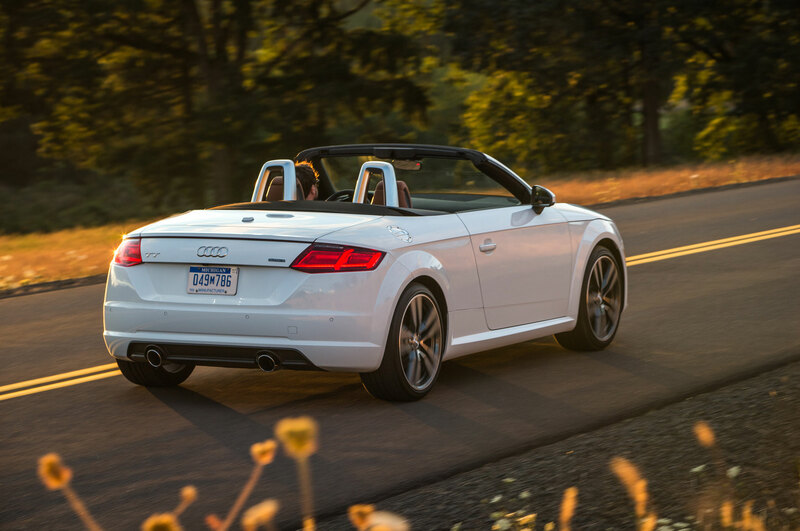 Prices start at $43,825 for the coupe and $47,325 for the convertible, increases of $2,580 and $3,080 over the previous TT, respectively. 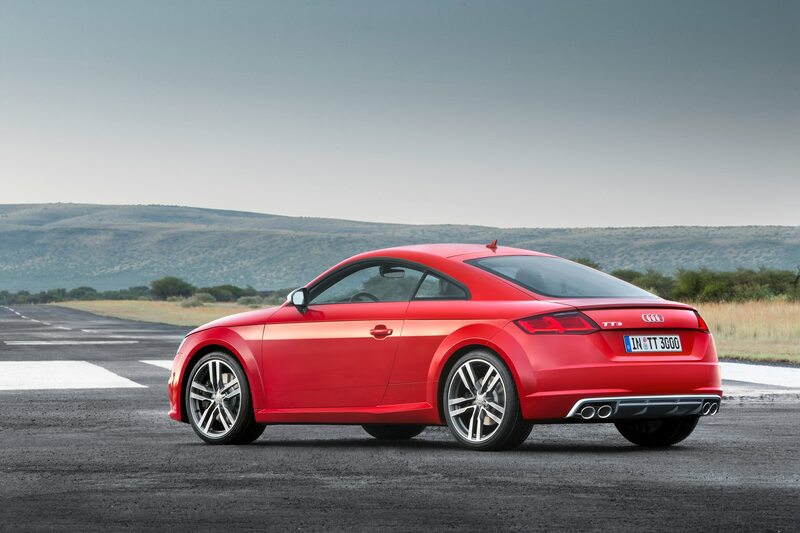 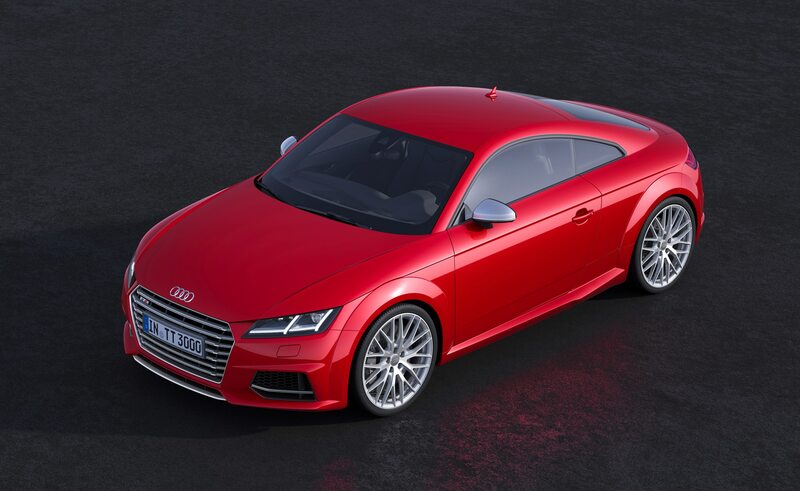 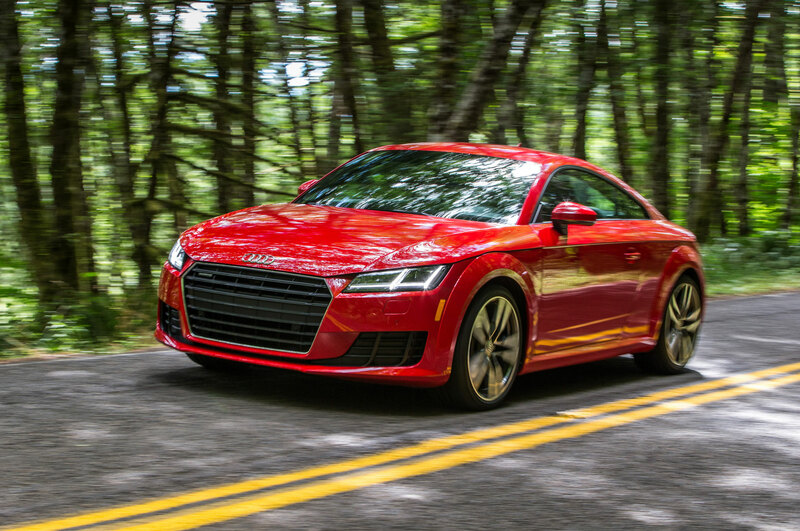 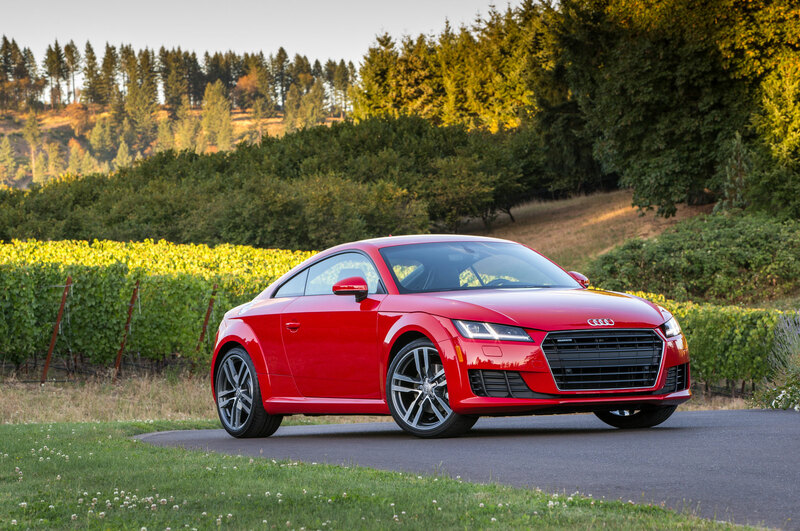 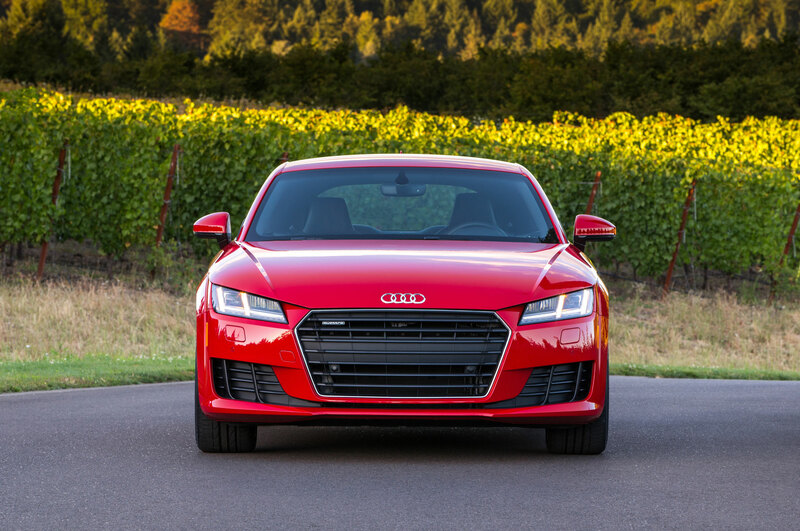 The high-performance 2016 Audi TTS coupe also uses a 2.0-liter turbo-four, but different tuning and beefed-up components mean that the TTS makes 292 hp and 280 lb-ft of torque. 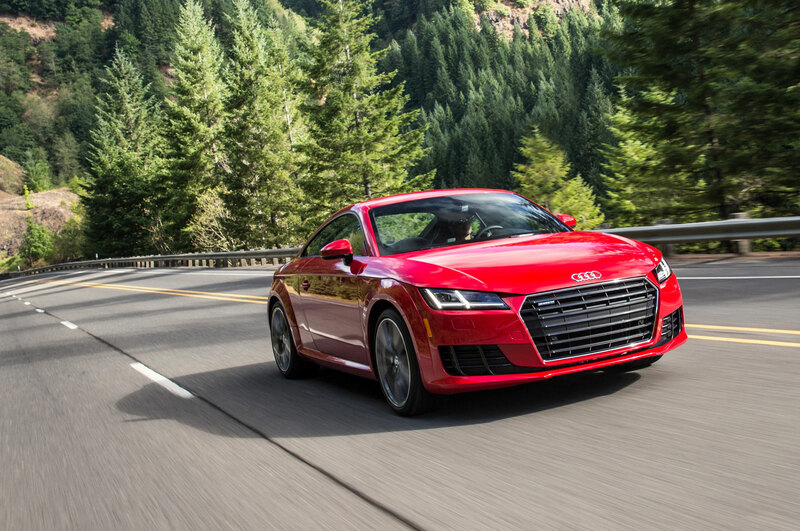 Audi says this model, which also has a six-speed dual-clutch and all-wheel drive as standard, gets from 0-60 mph in 4.6 seconds. 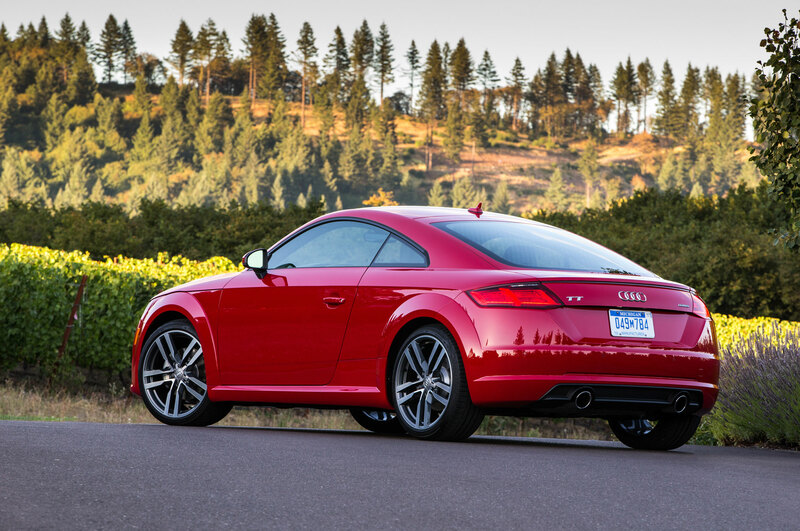 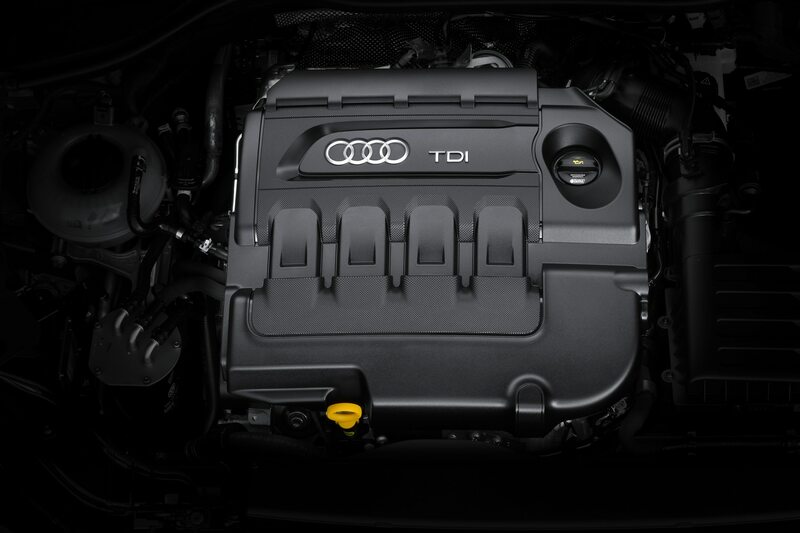 For a starting price of $52,825, the TTS also gains larger 19-inch wheels, an adaptive magnetic ride suspension setup, and a few exterior design cues like quad exhaust tips and a different from bumper to set it apart from the standard TT. 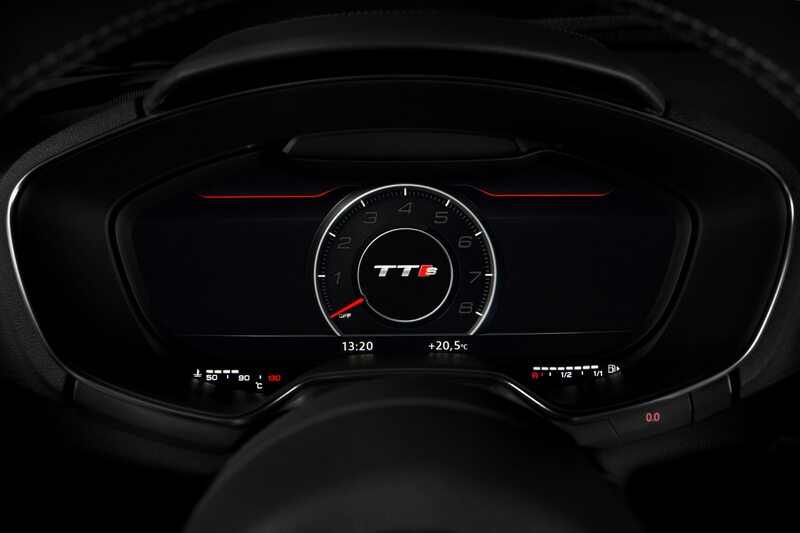 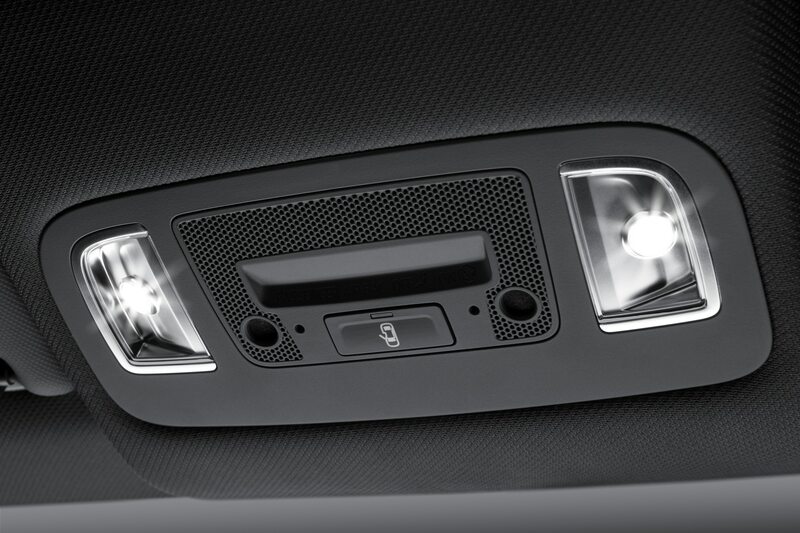 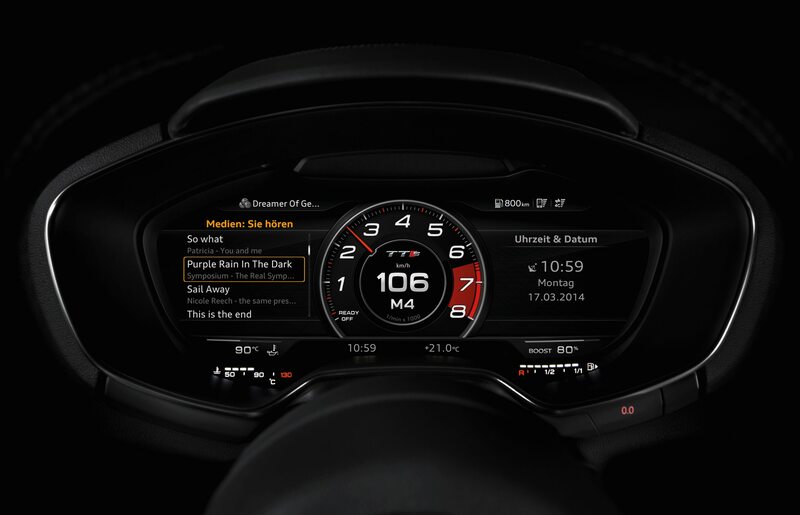 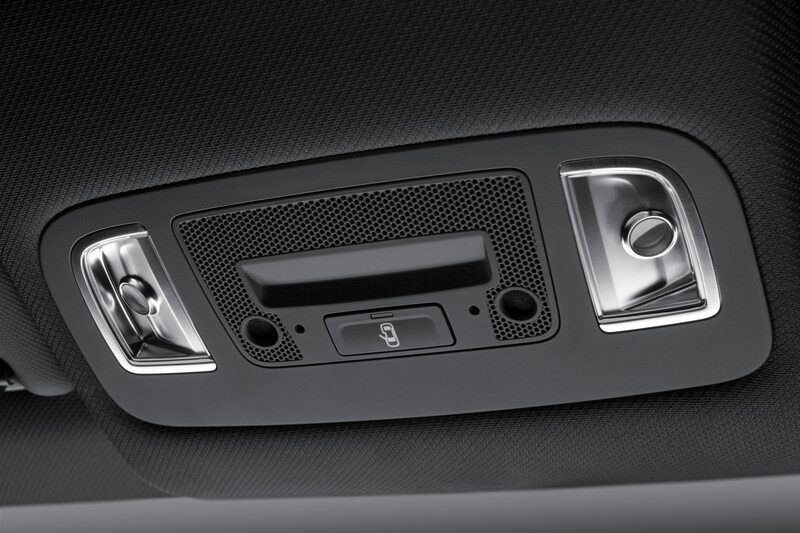 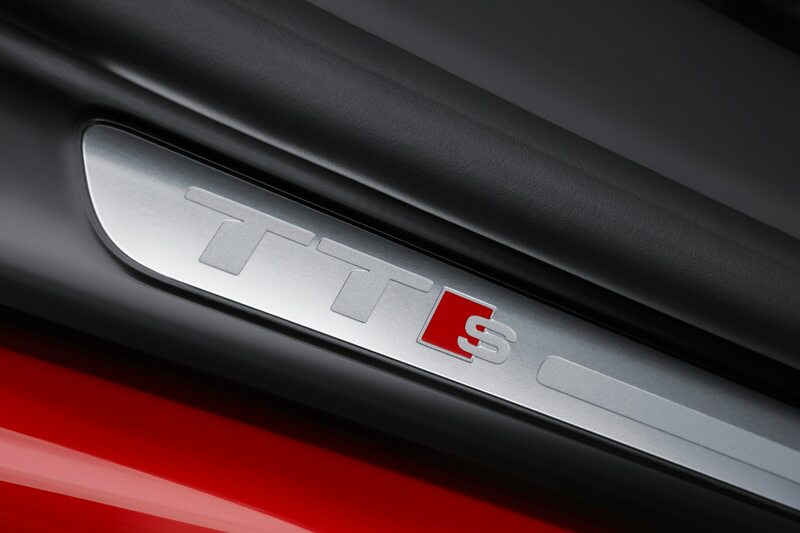 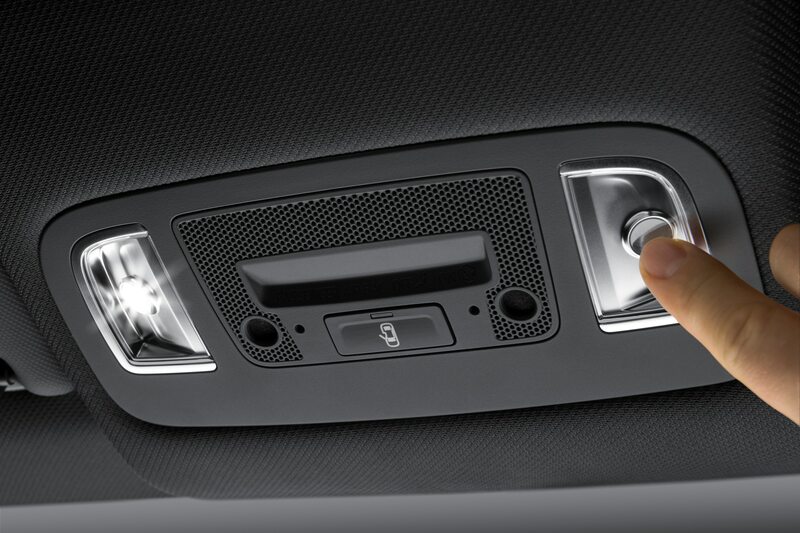 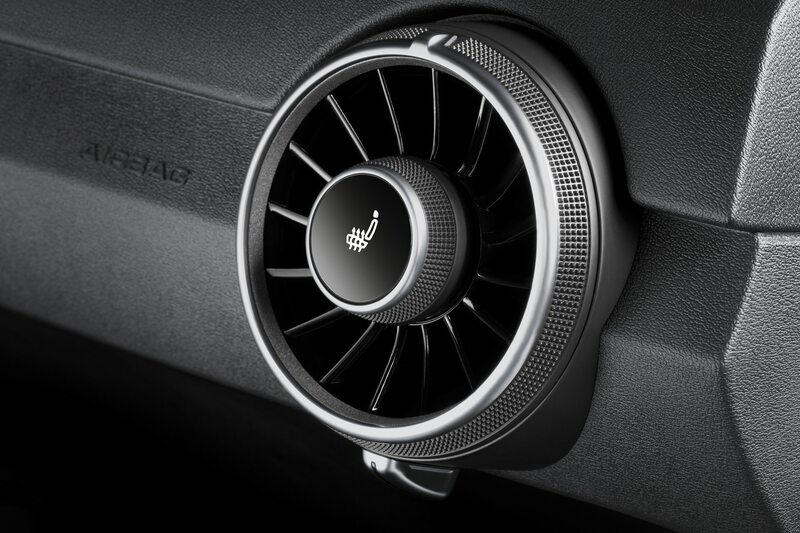 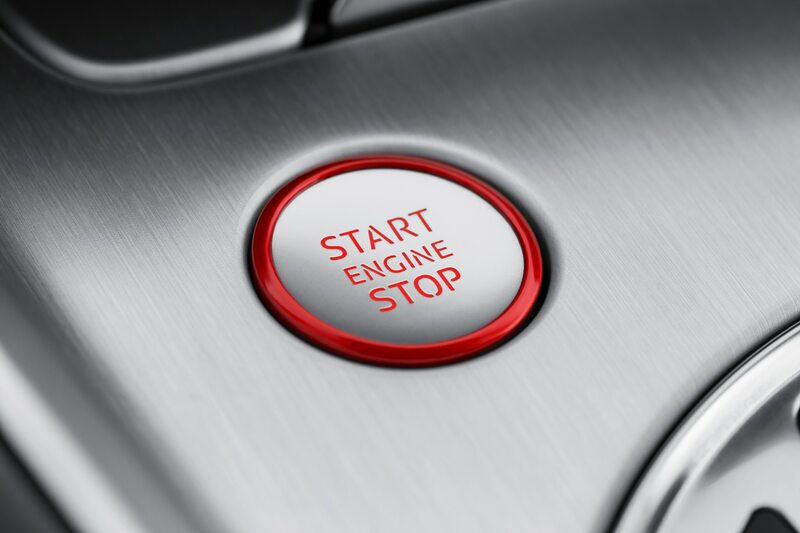 A special Launch Edition package will be available for the TTS that includes Mythos Black exterior paint, a red Nappa leather interior, different 19-inch wheels, a Bang & Olufsen sound system, and the technology package that includes features like navigation, a backup camera, and smartphone connectivity. 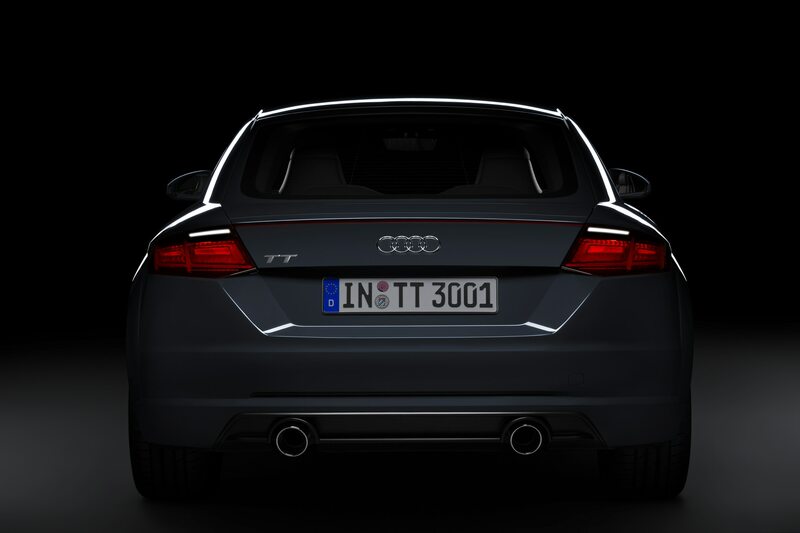 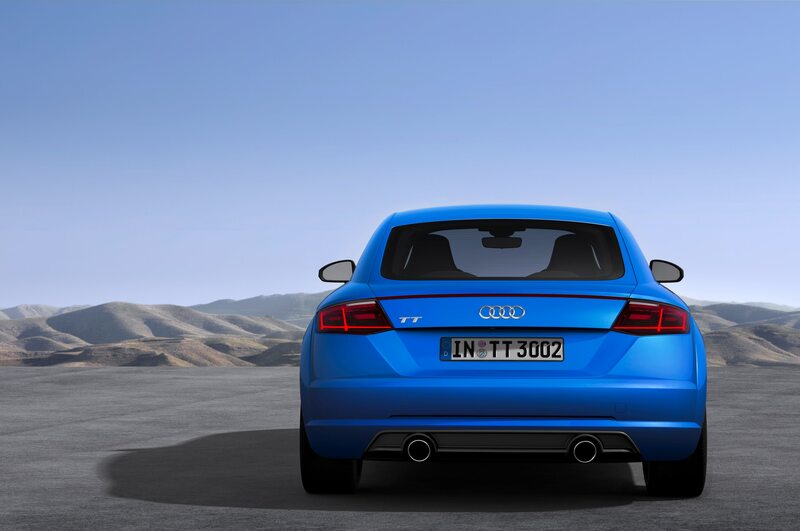 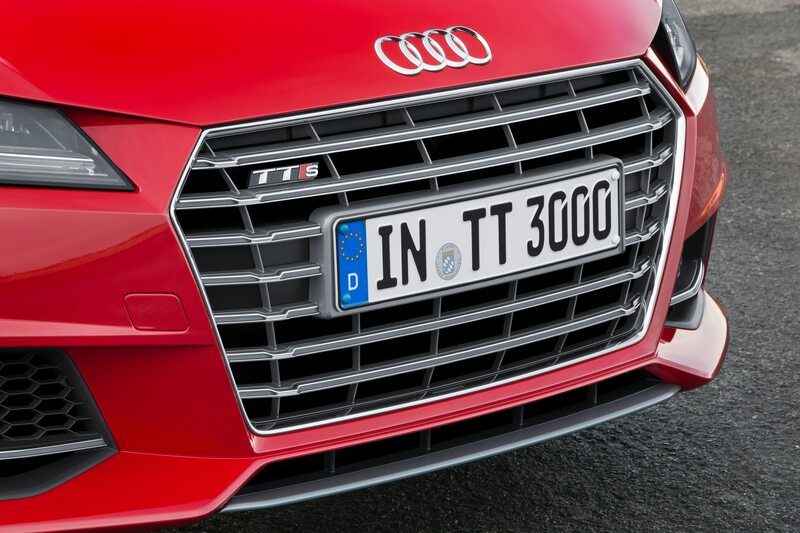 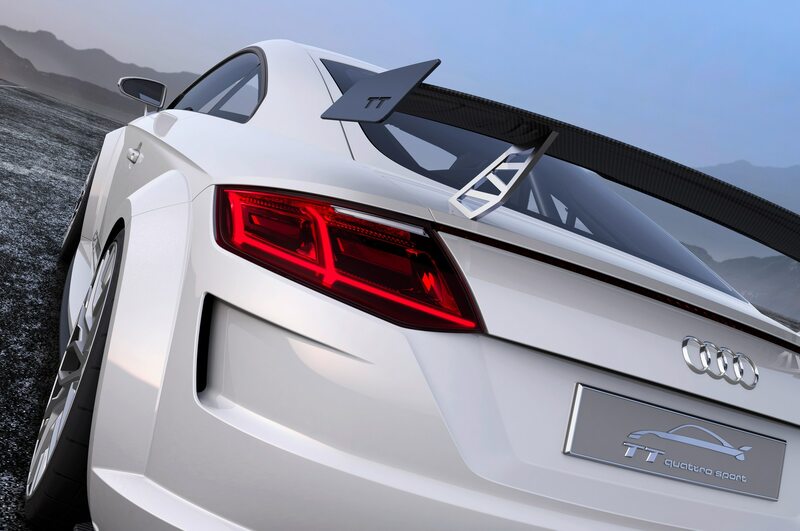 Audi hasn’t yet released detailed information on this package, but we expect it to have a limited production run and a price premium over the standard TTS.